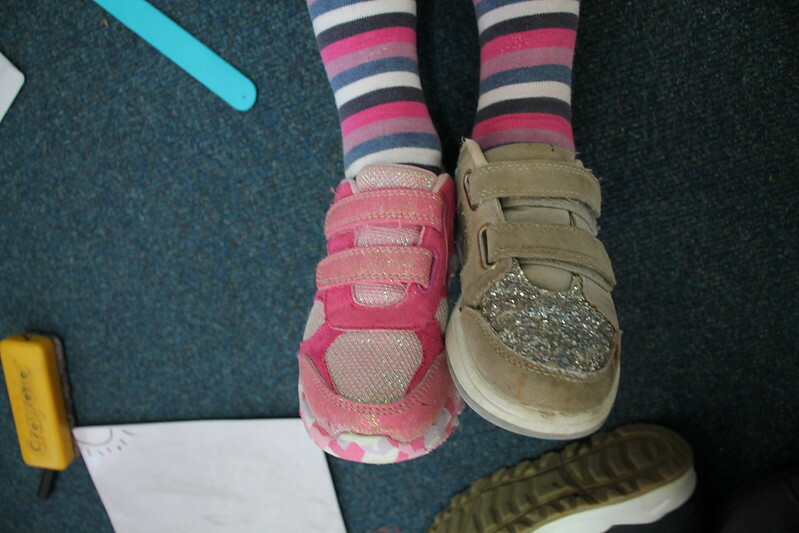 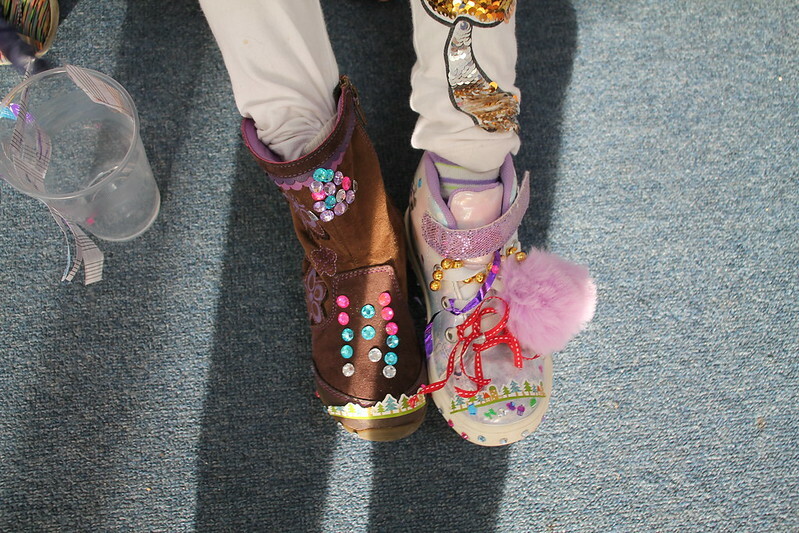 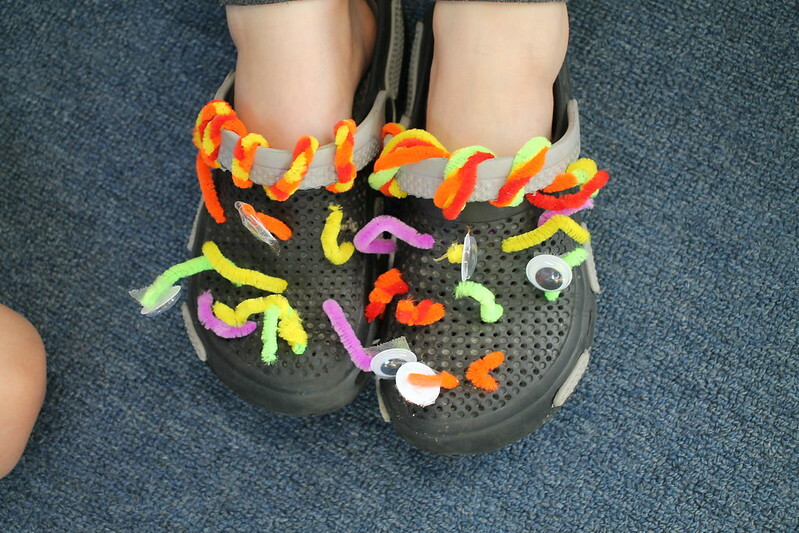 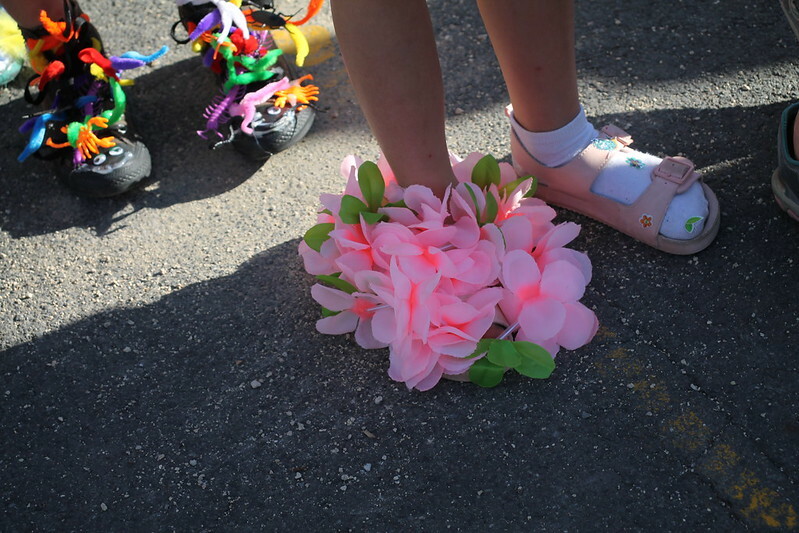 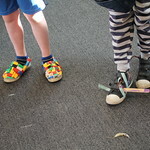 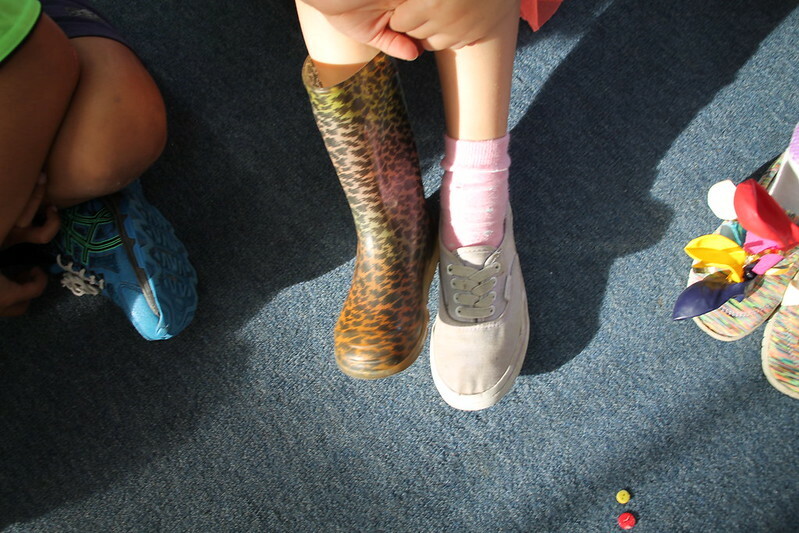 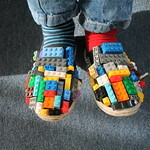 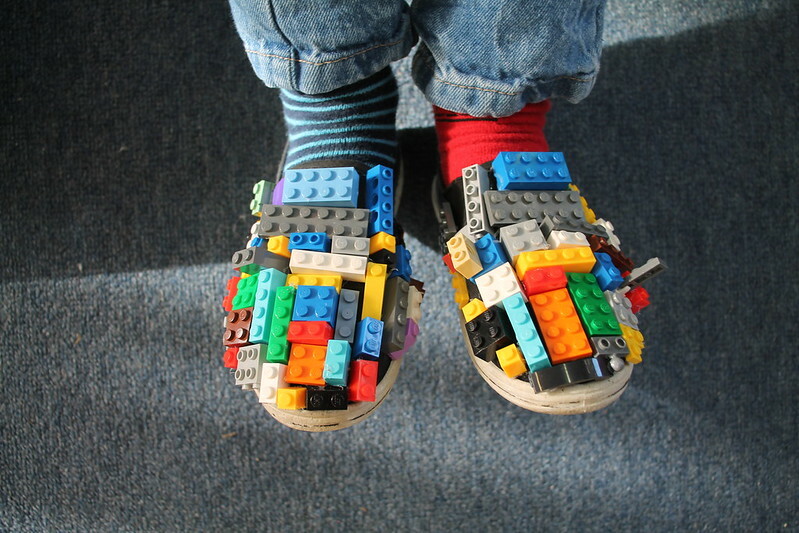 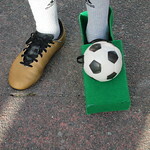 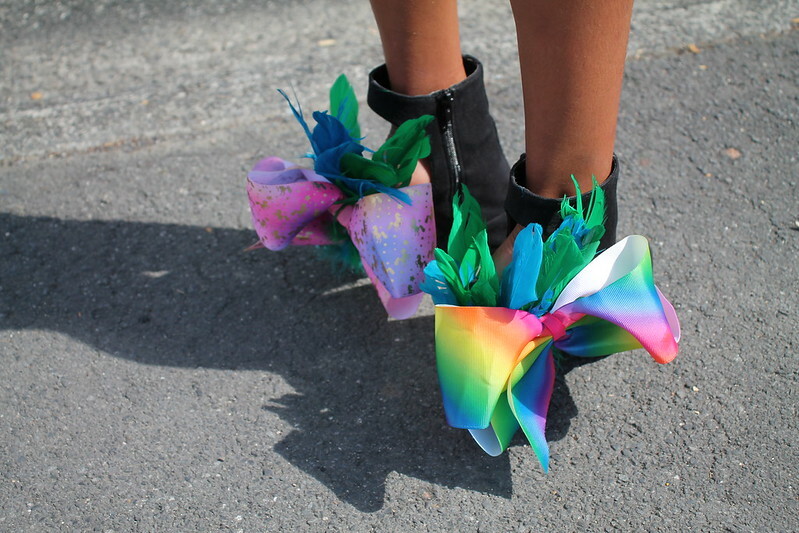 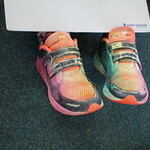 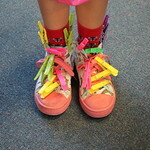 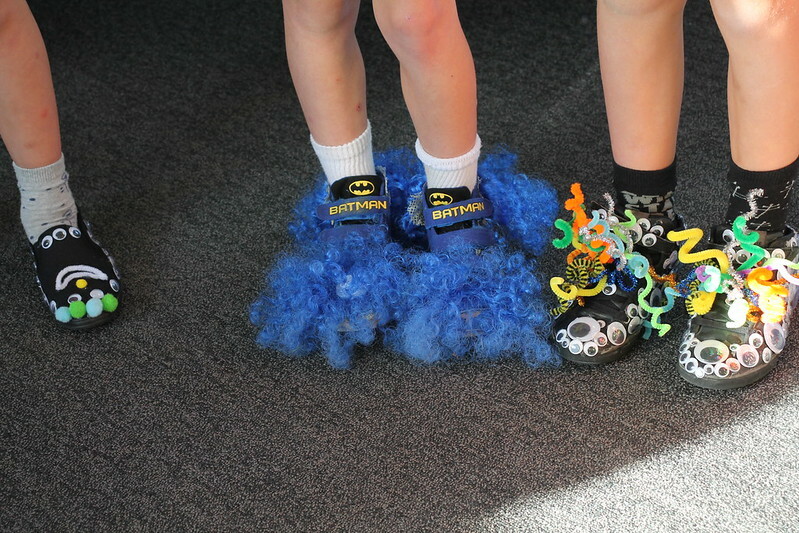 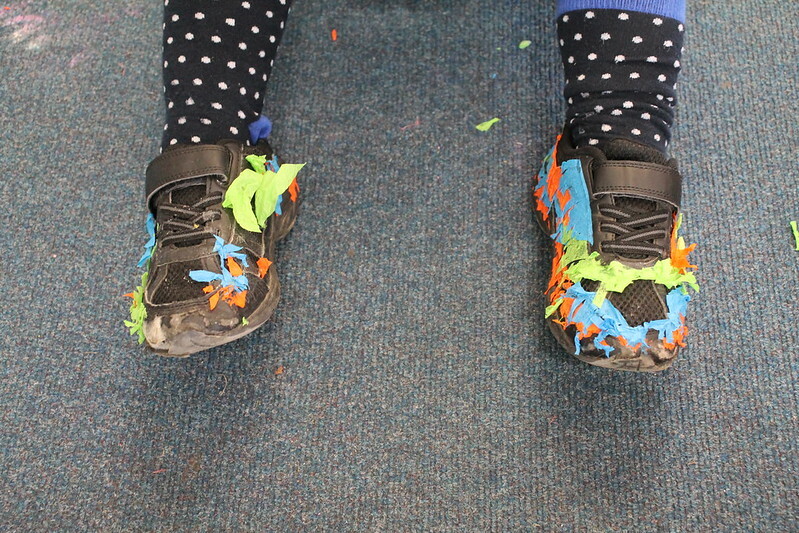 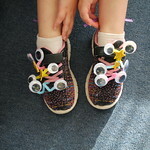 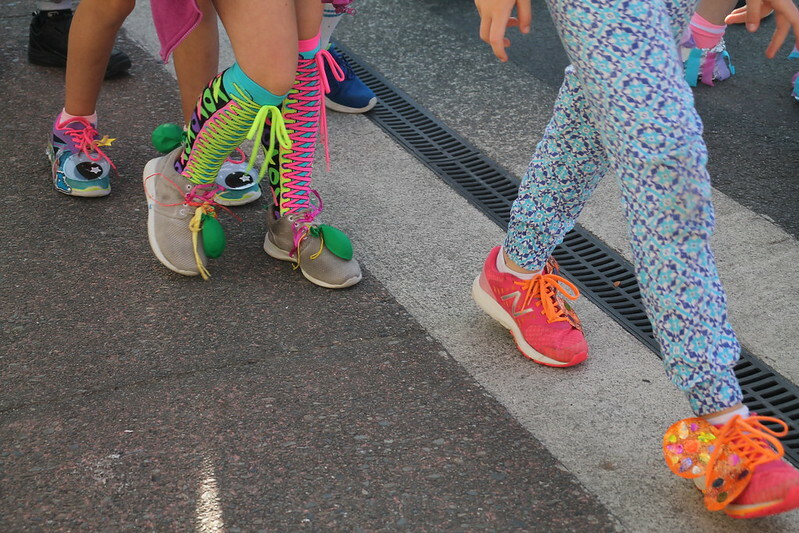 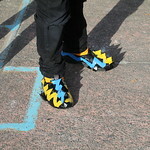 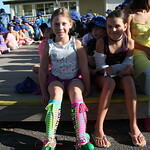 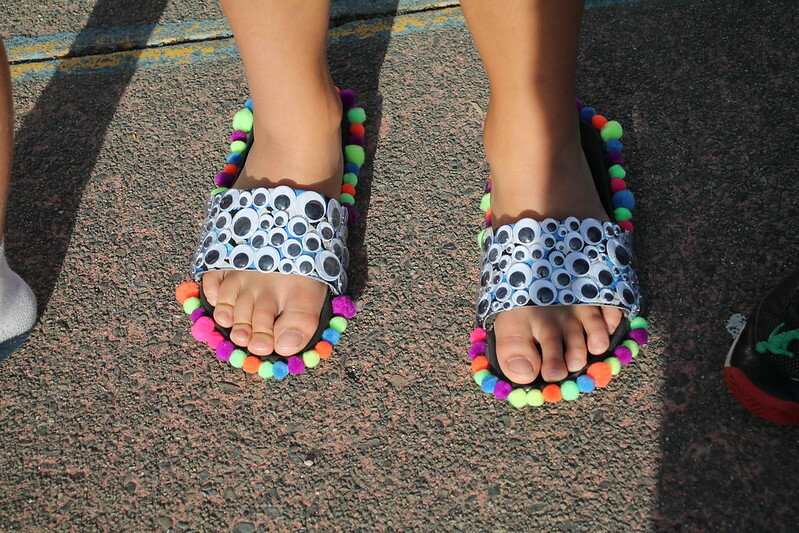 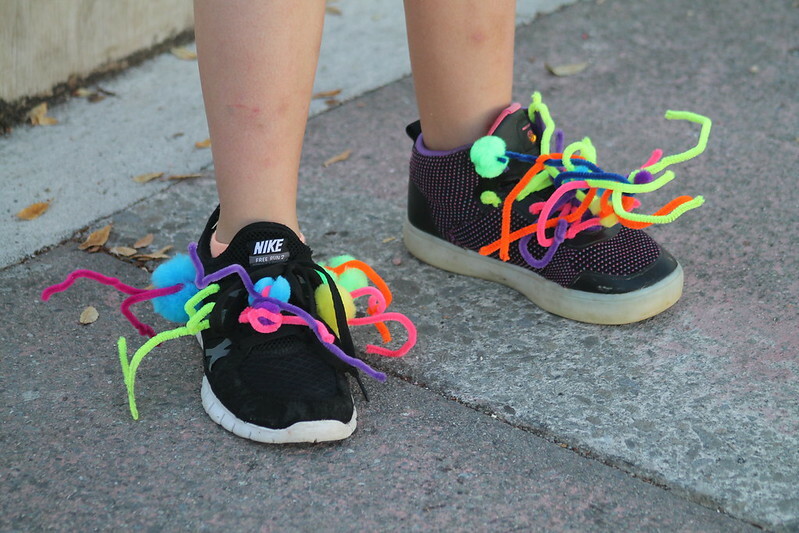 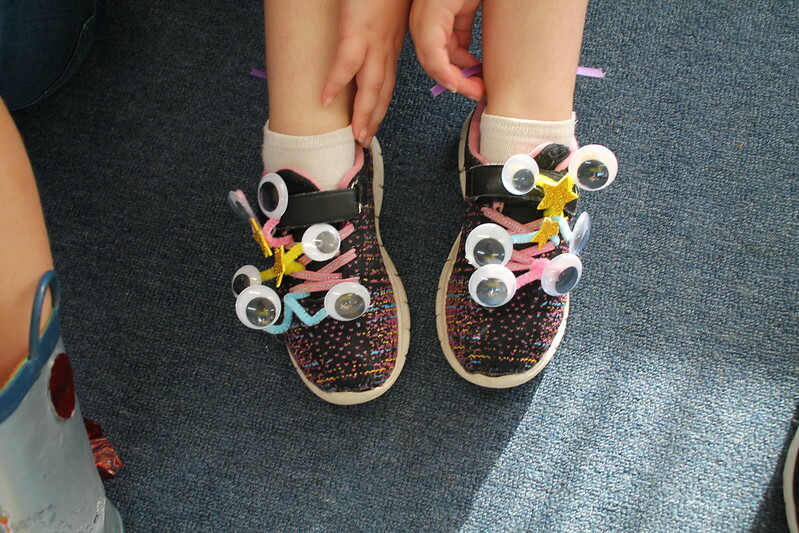 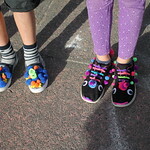 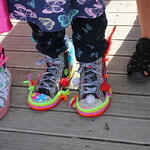 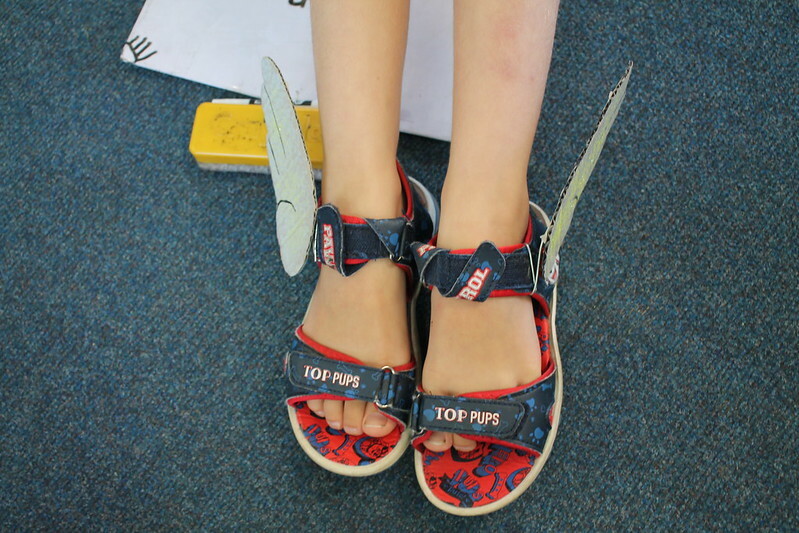 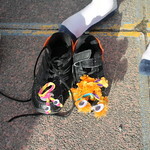 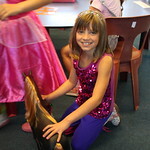 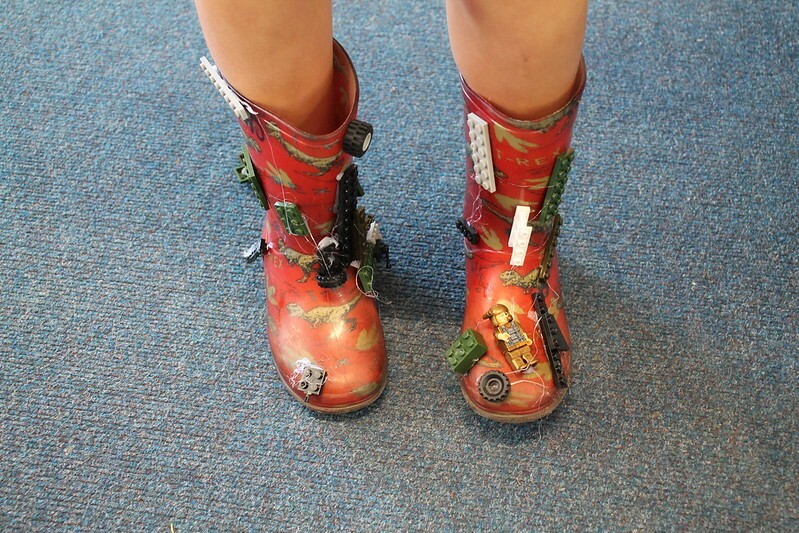 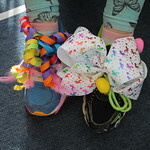 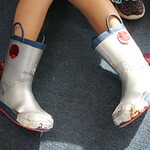 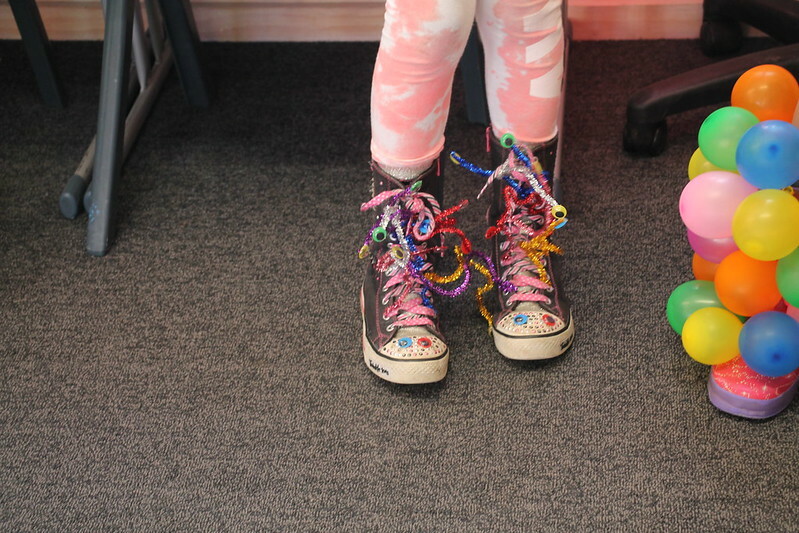 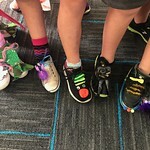 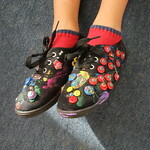 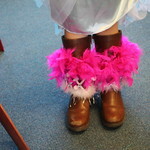 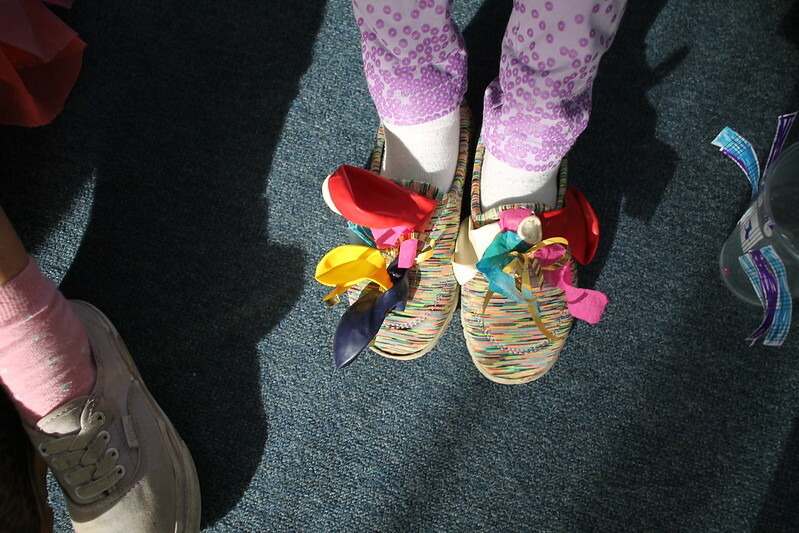 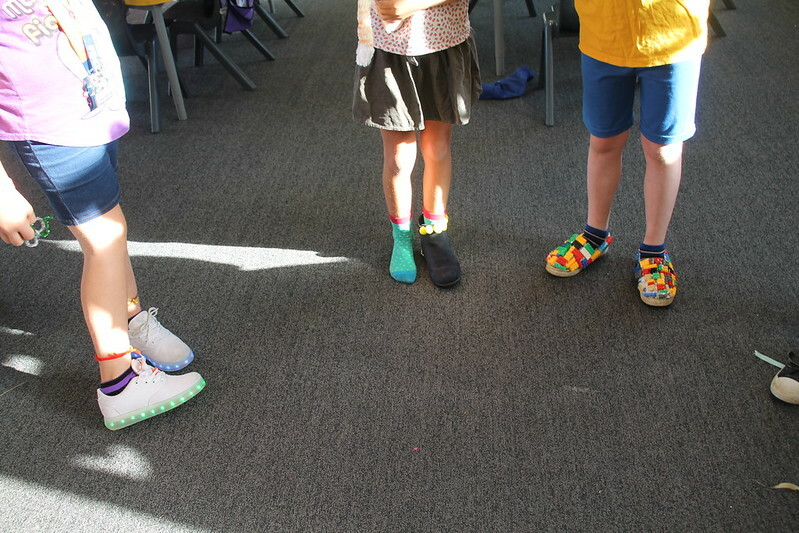 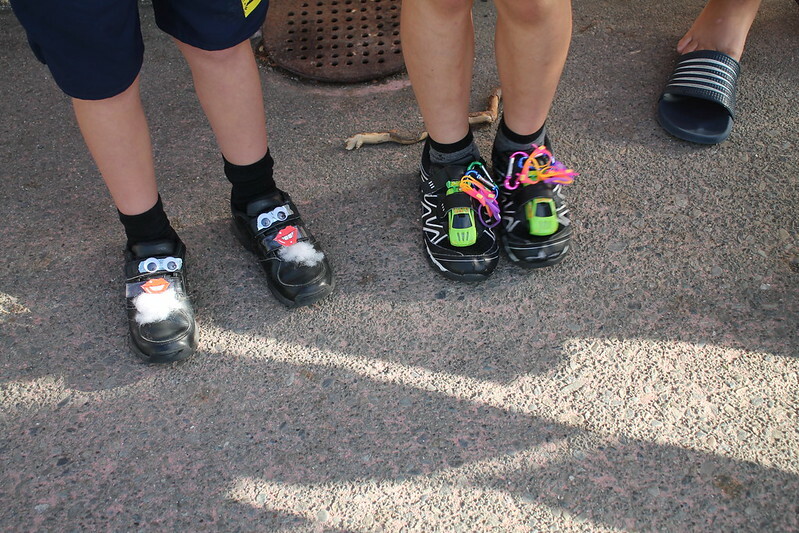 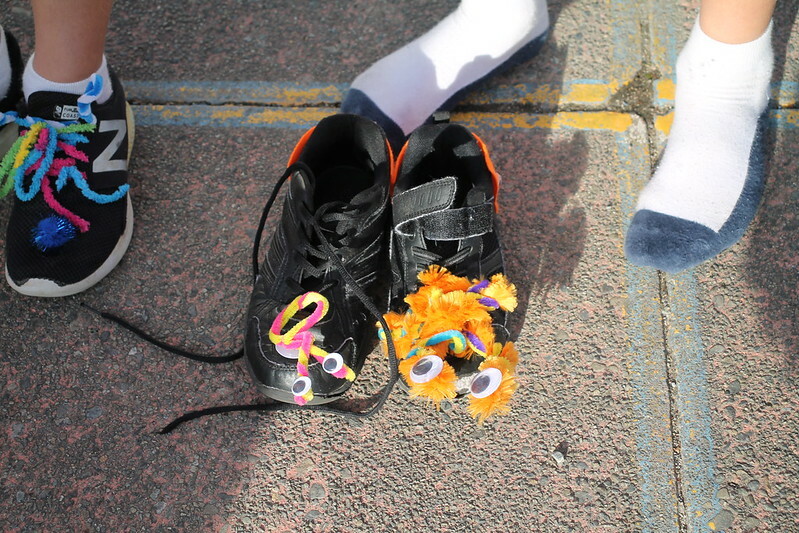 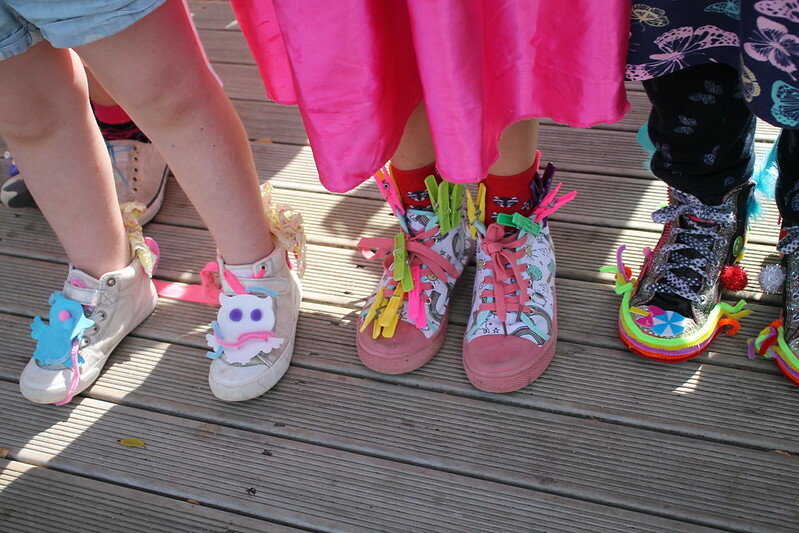 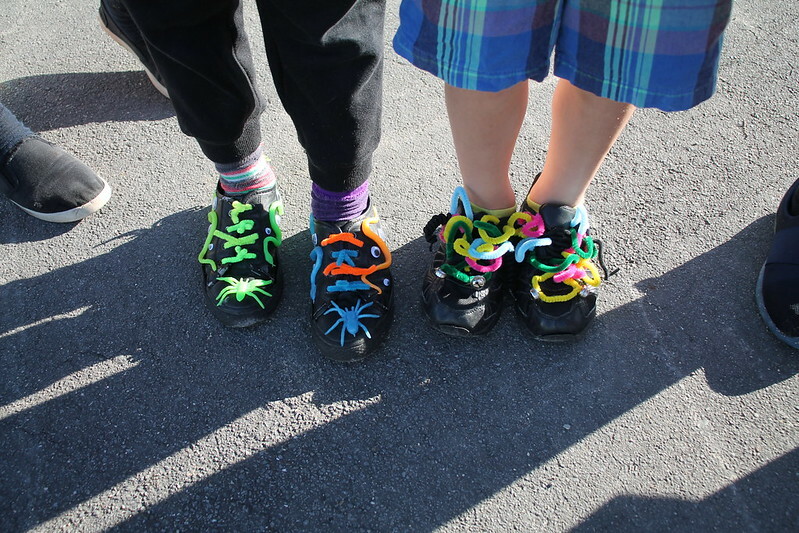 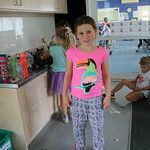 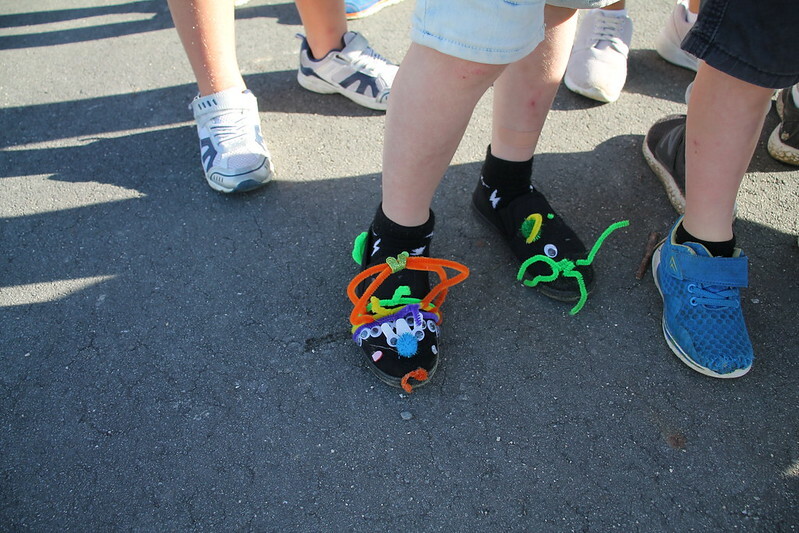 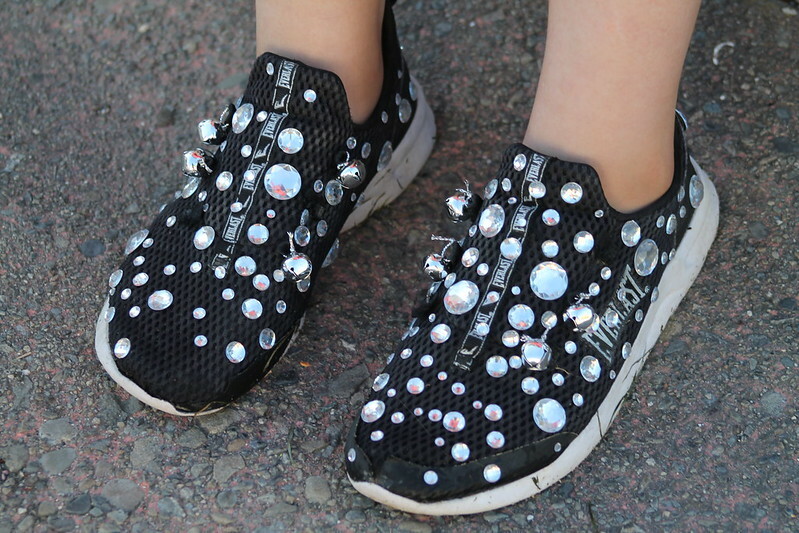 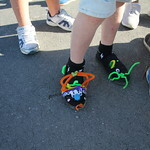 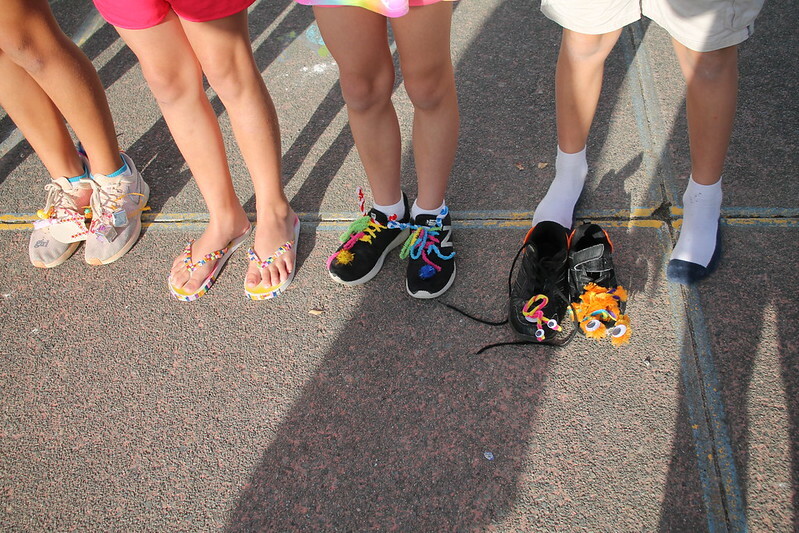 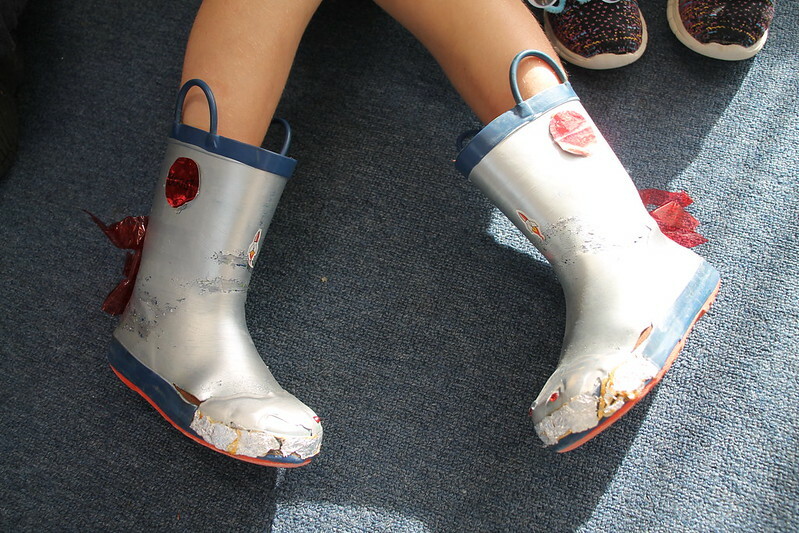 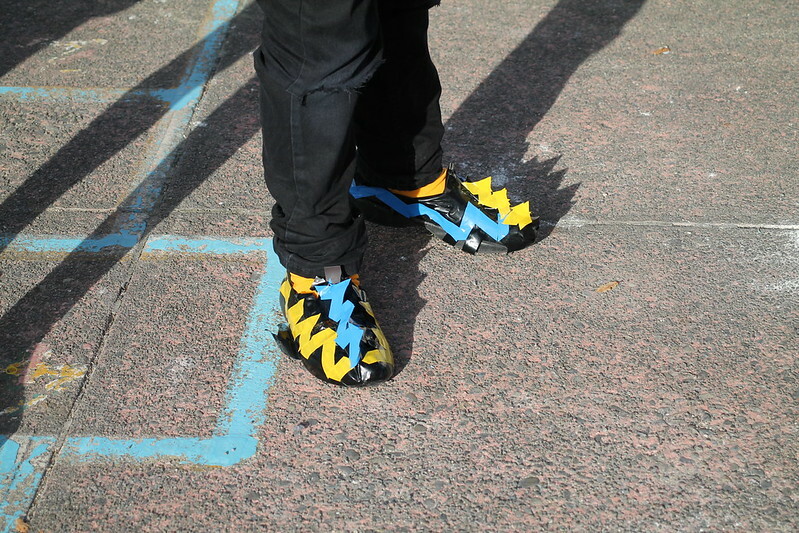 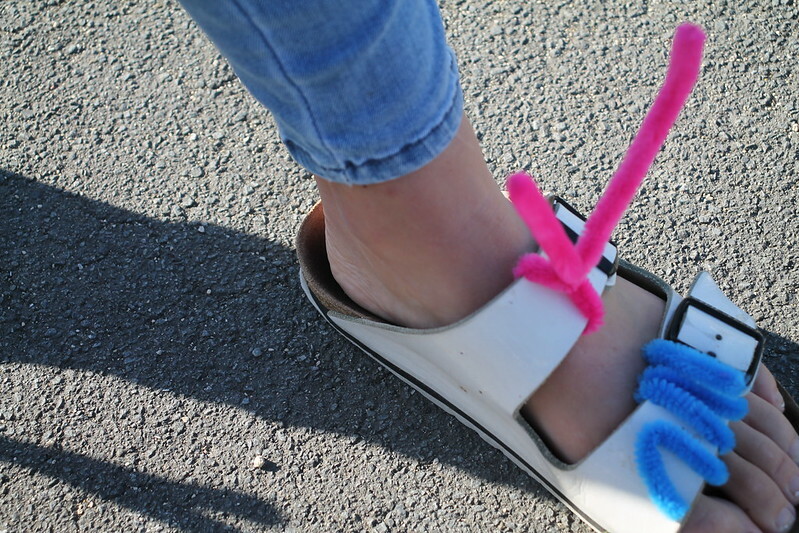 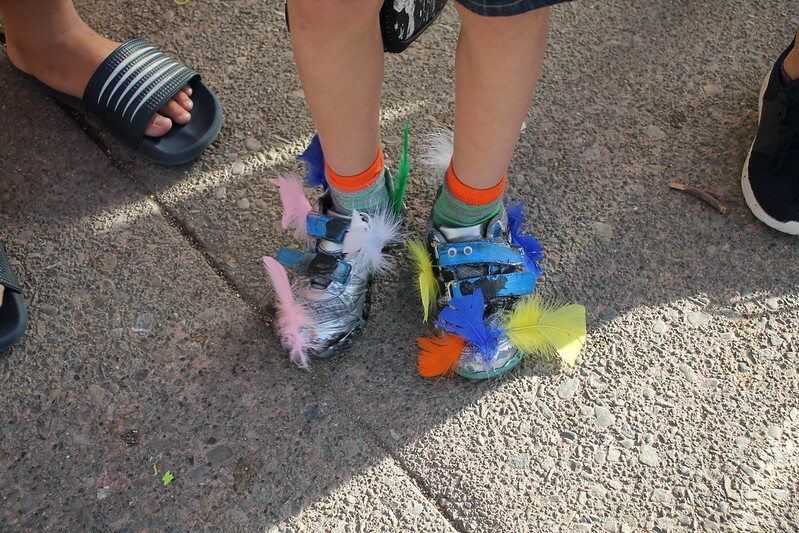 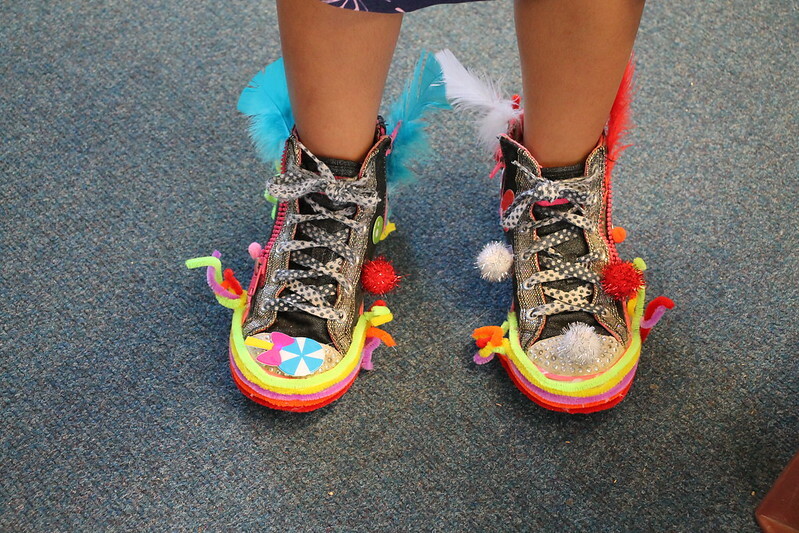 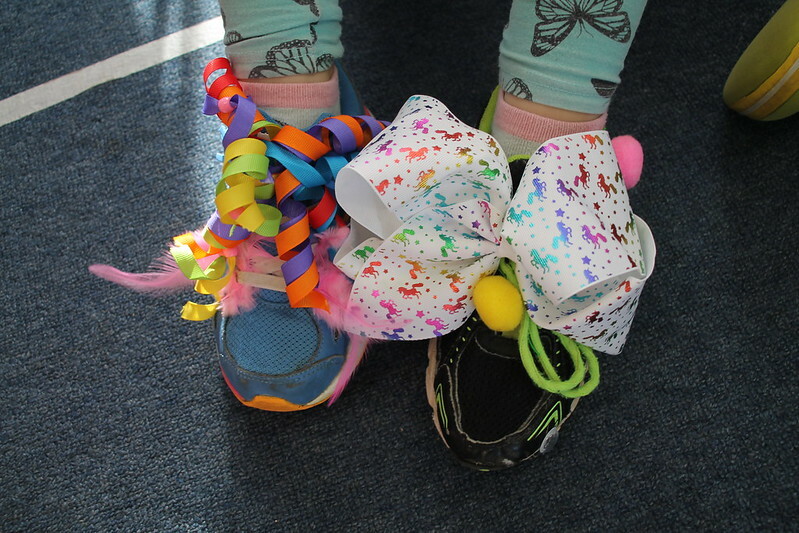 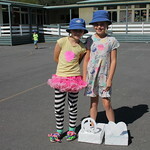 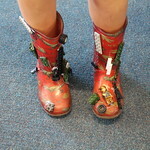 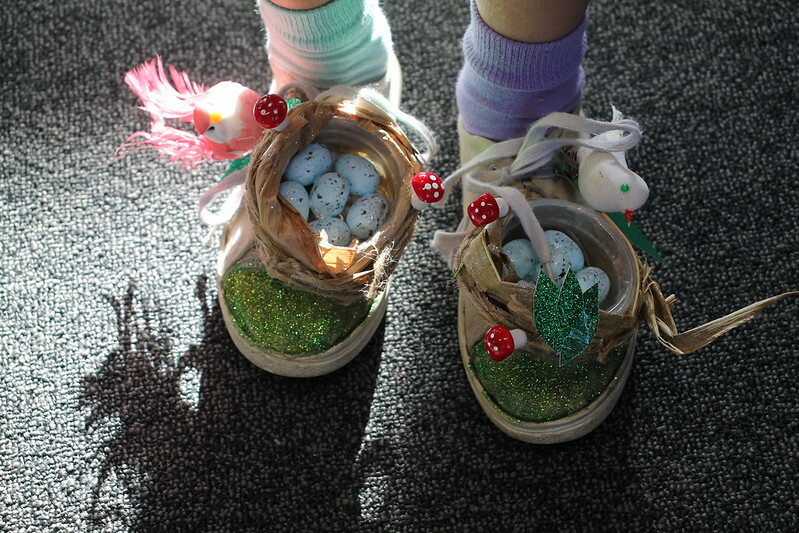 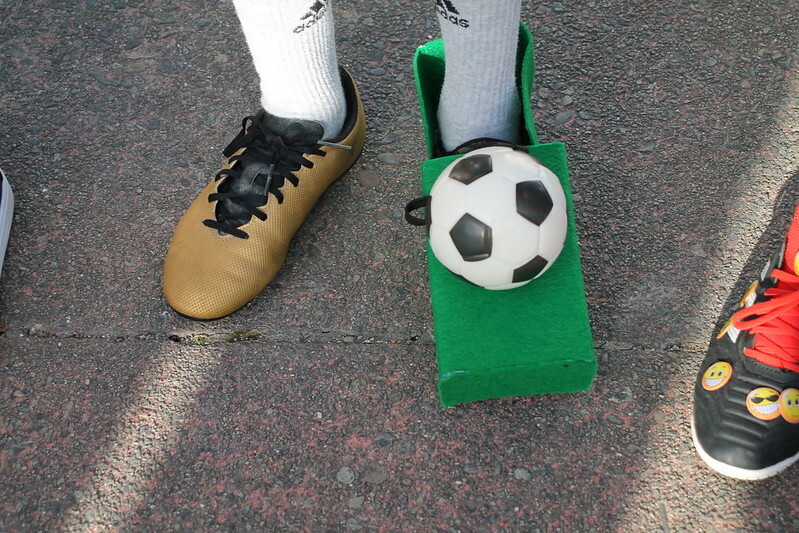 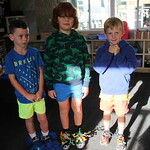 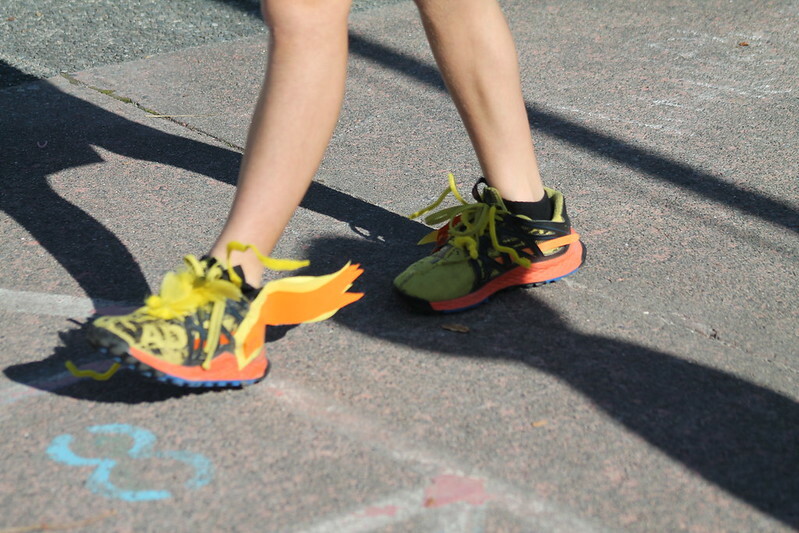 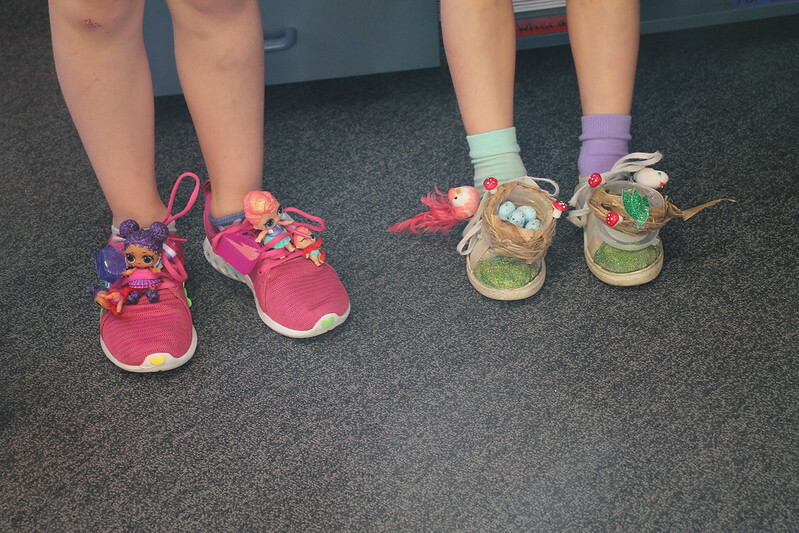 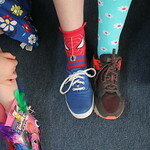 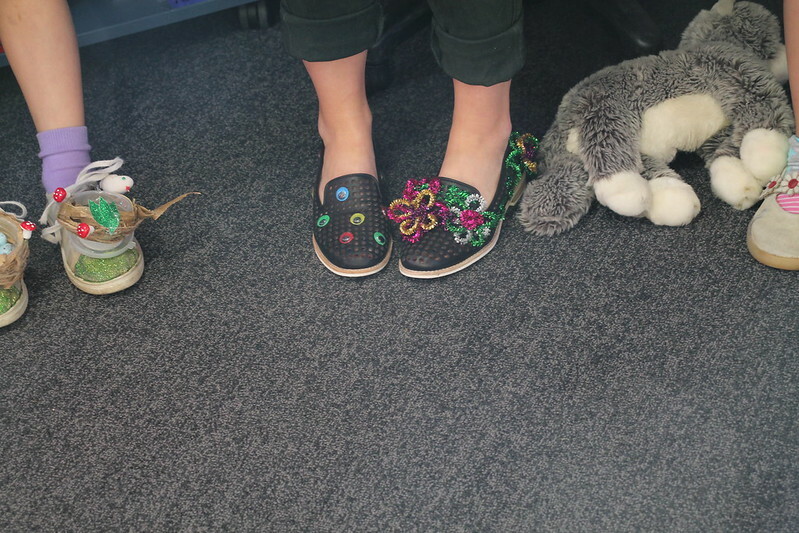 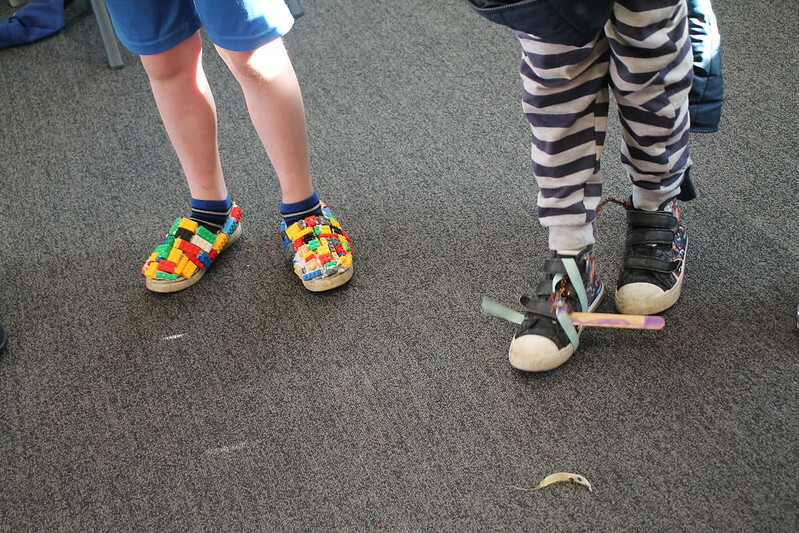 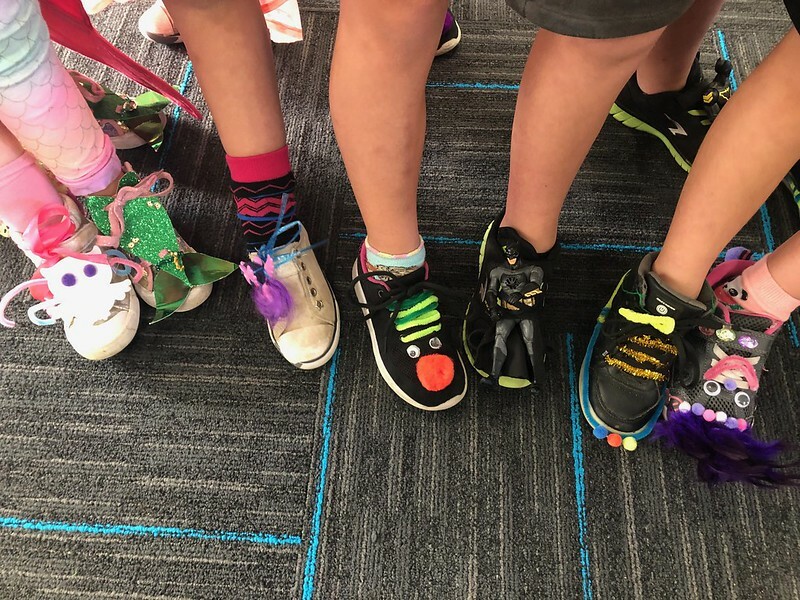 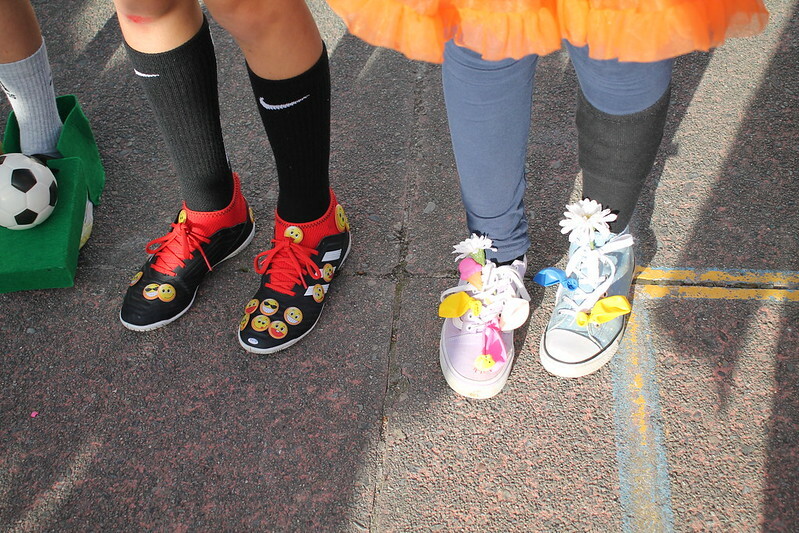 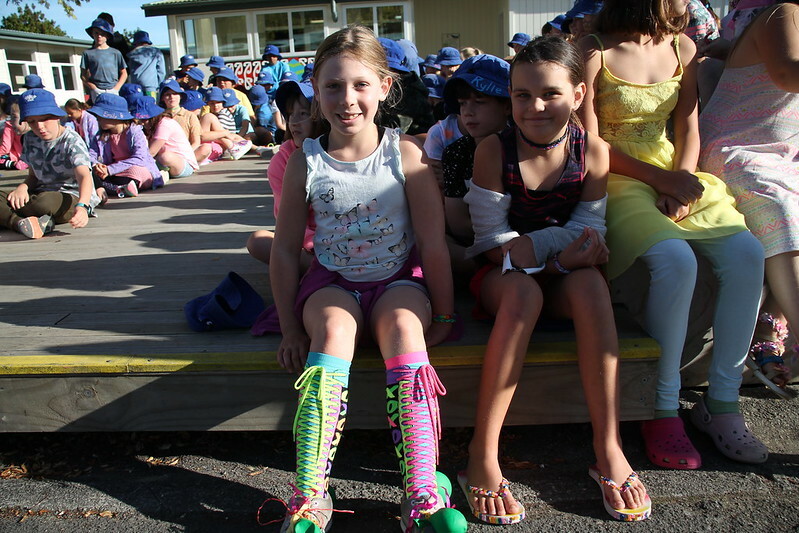 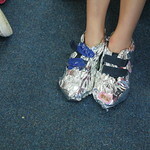 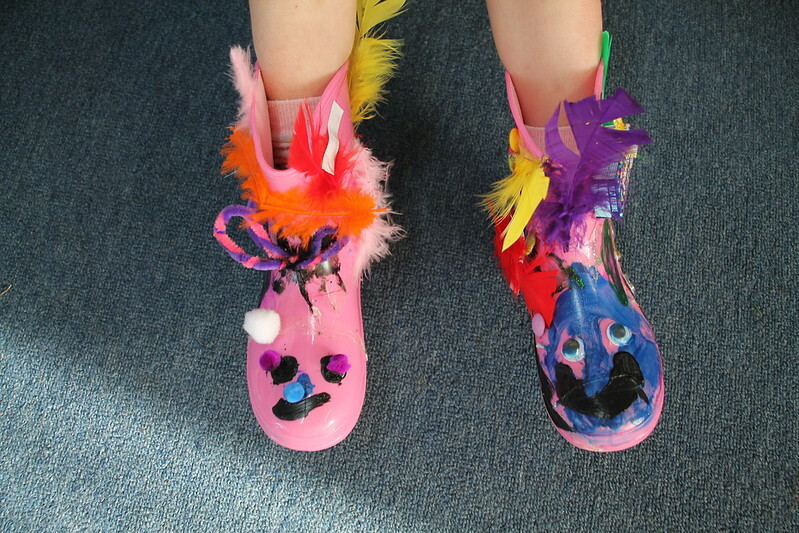 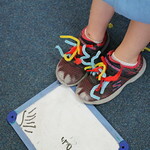 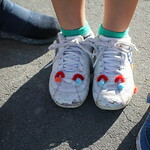 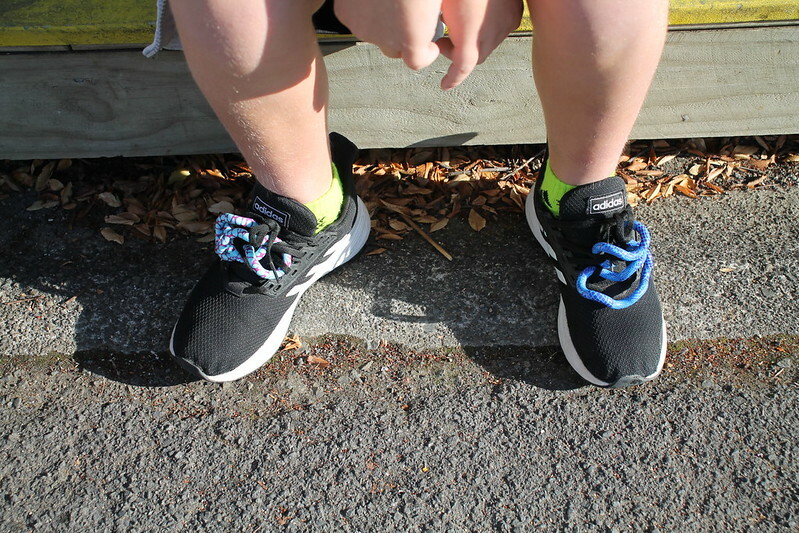 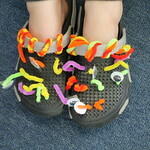 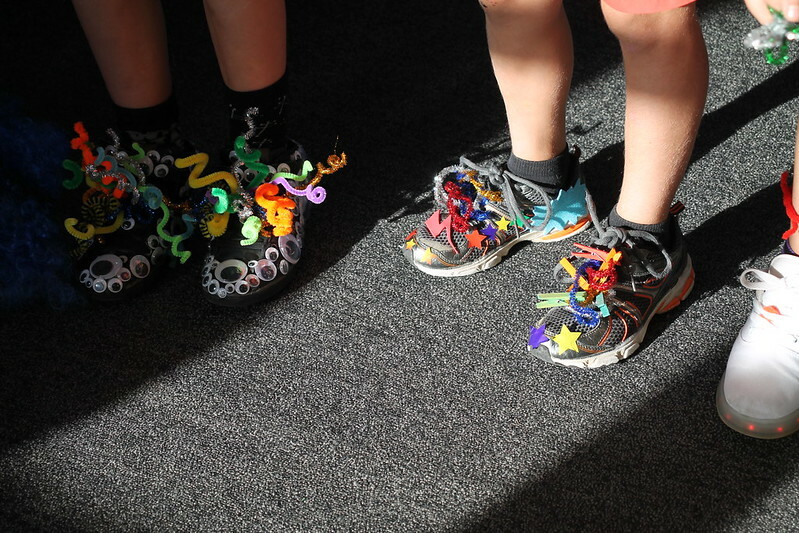 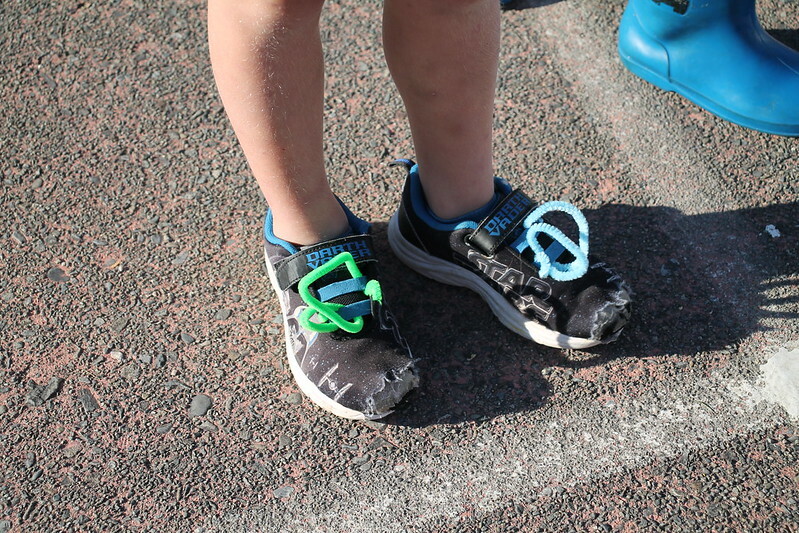 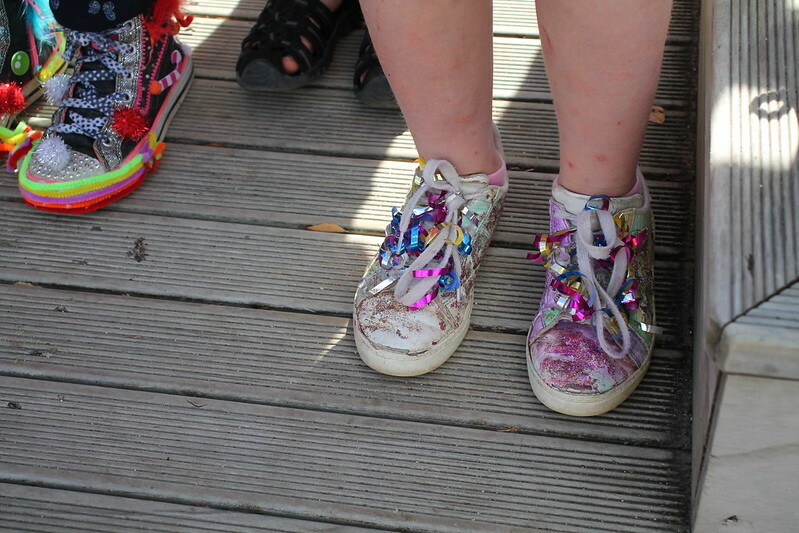 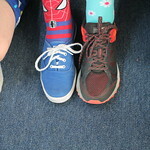 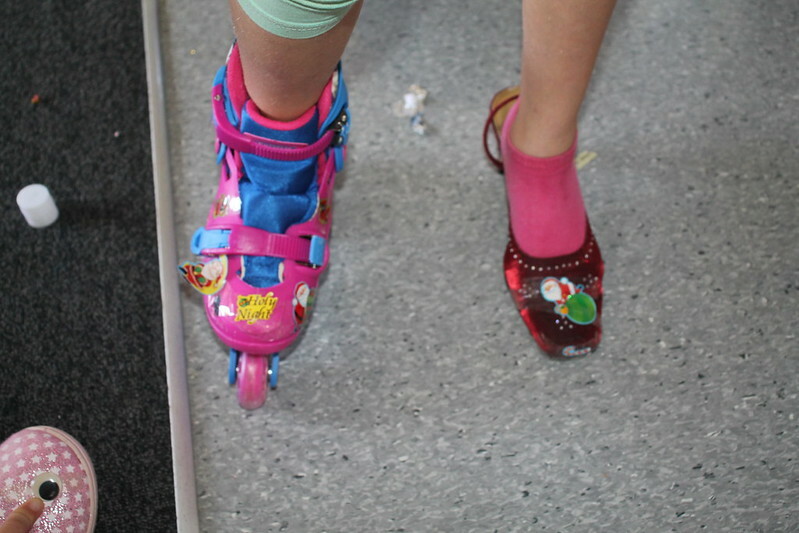 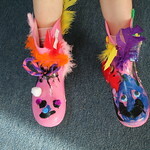 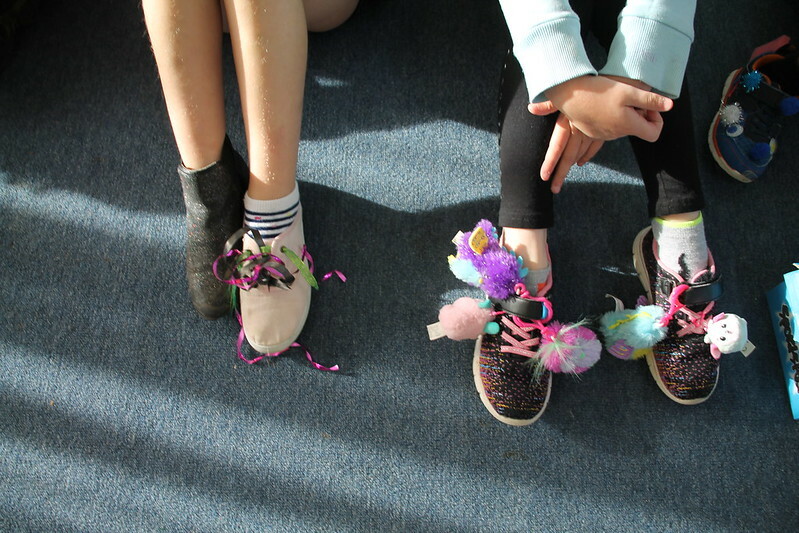 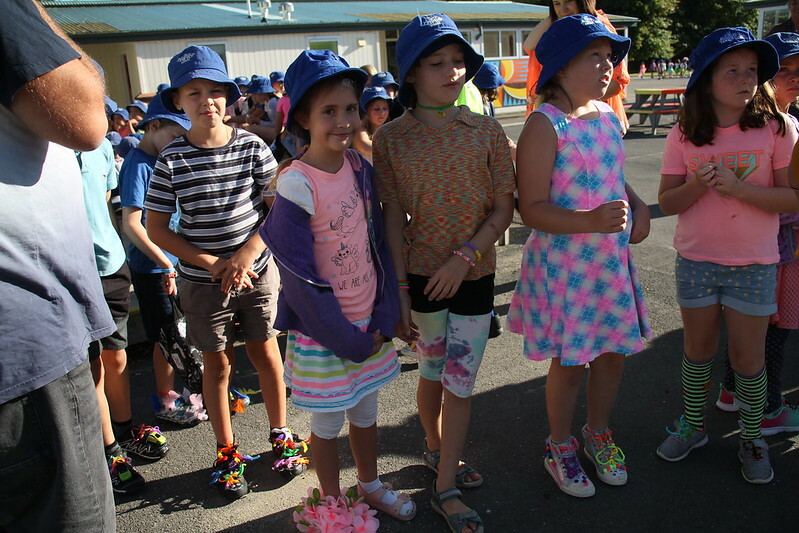 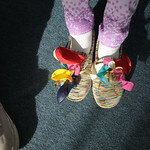 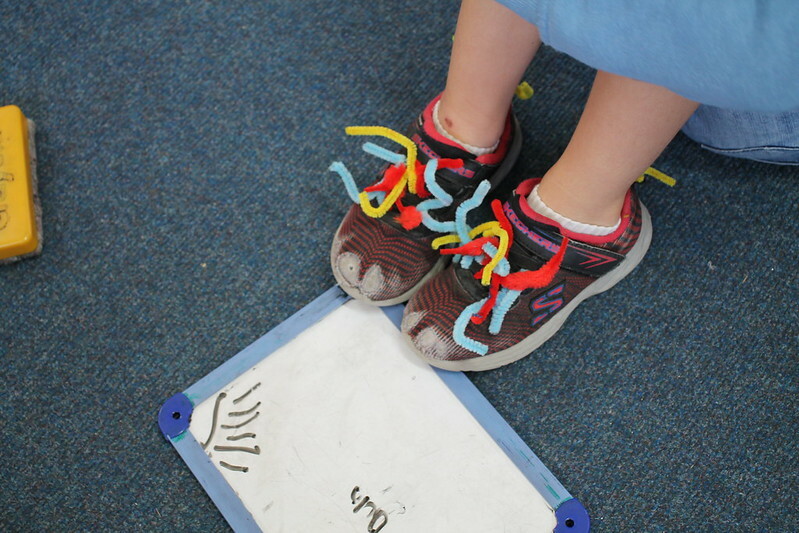 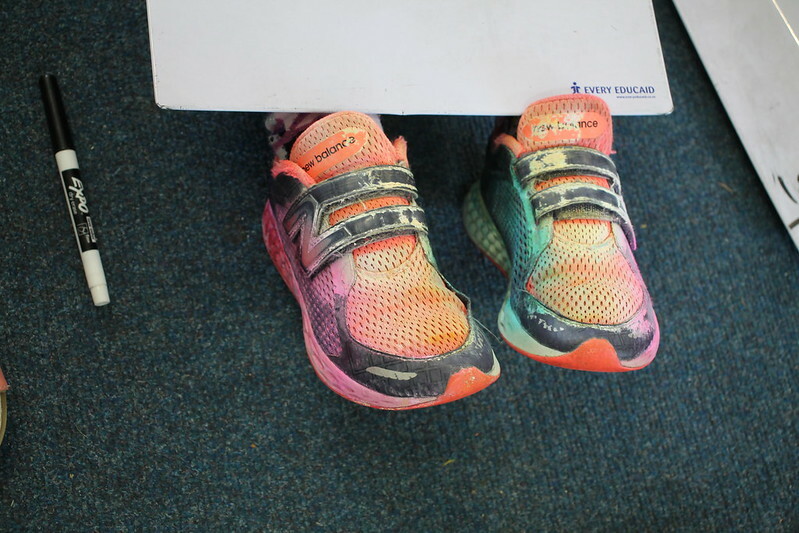 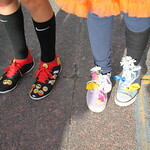 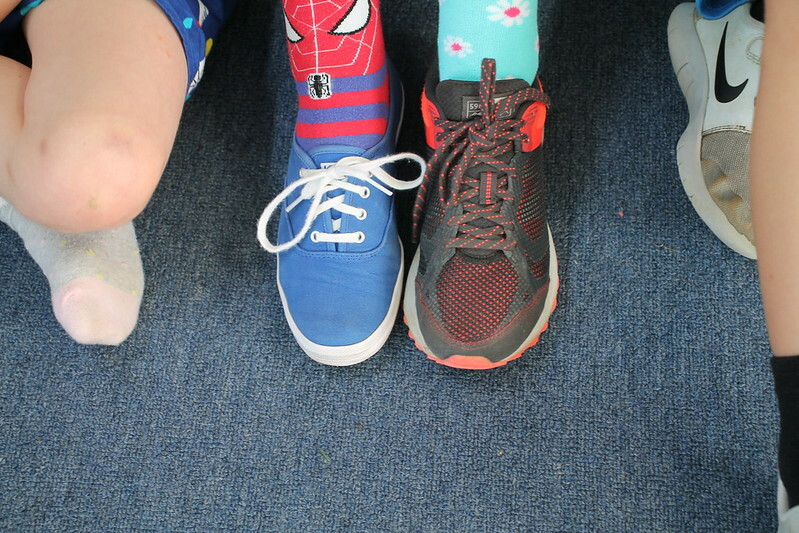 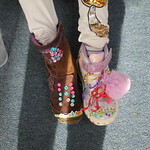 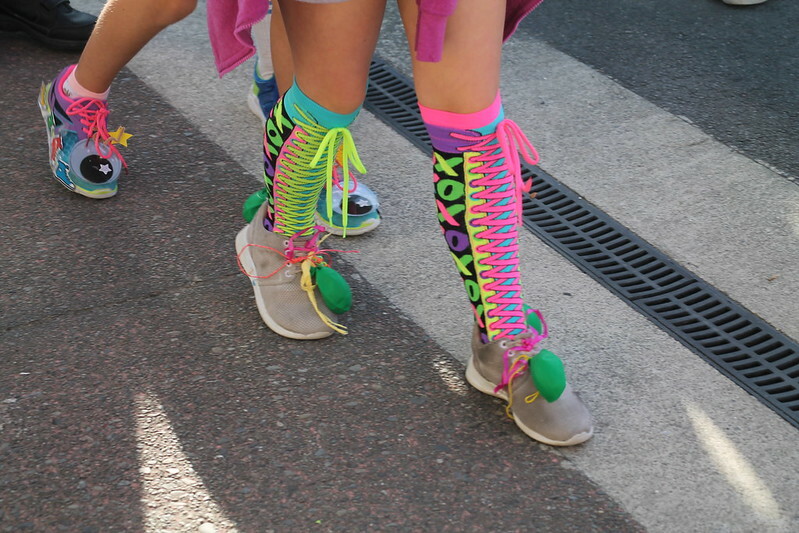 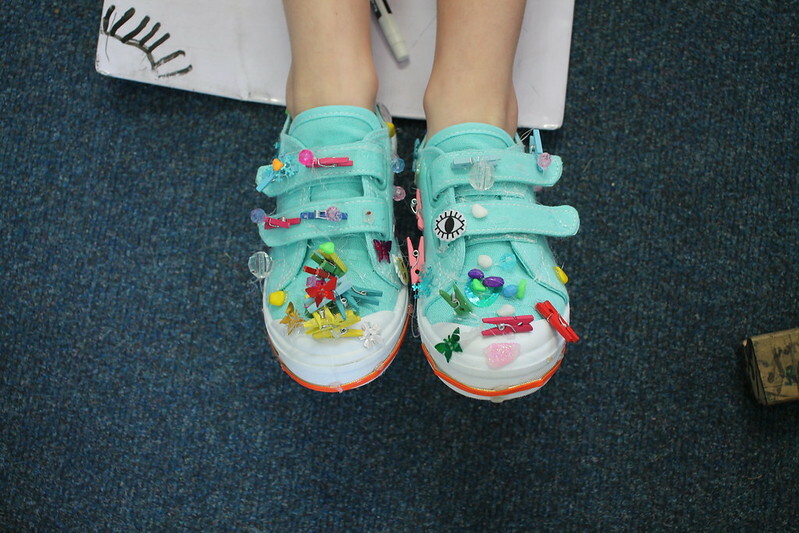 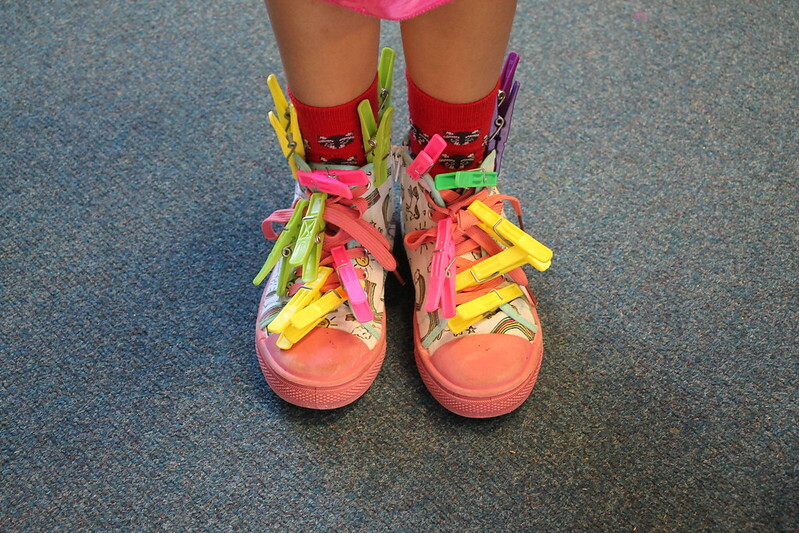 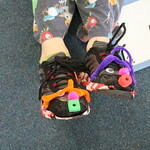 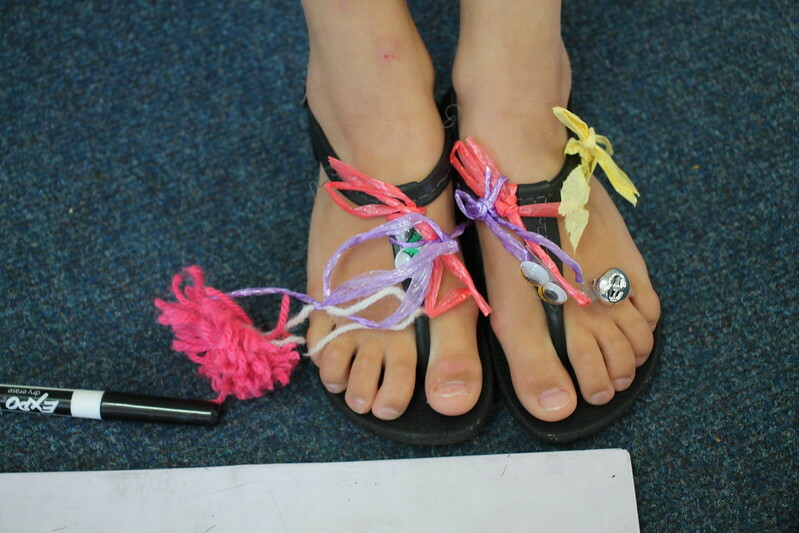 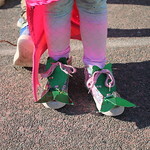 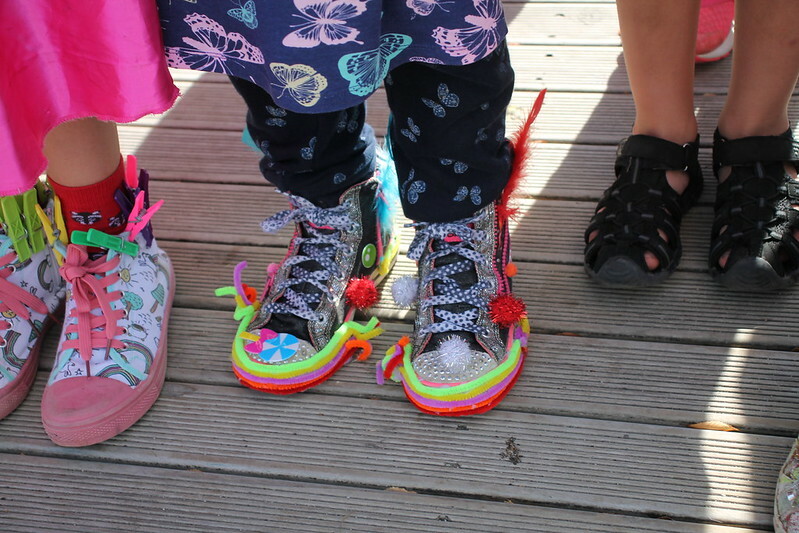 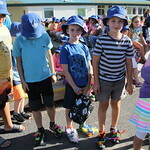 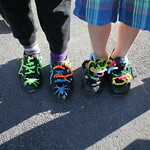 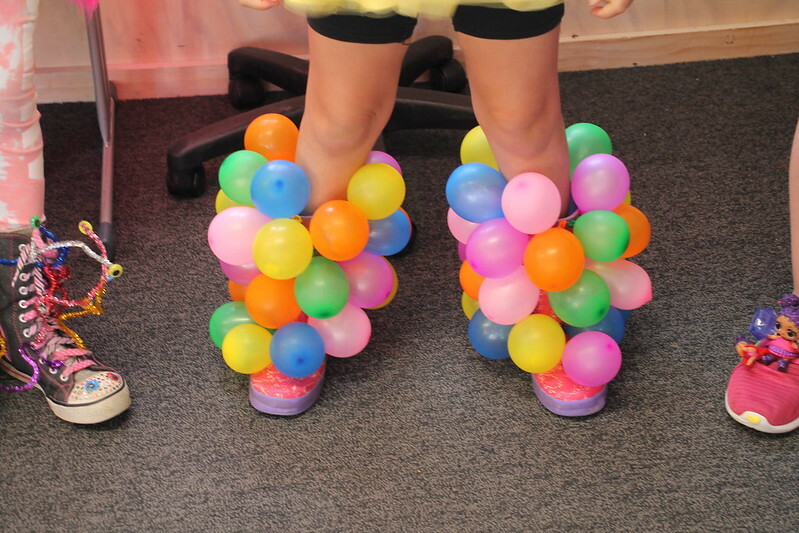 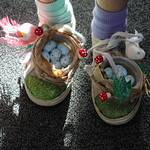 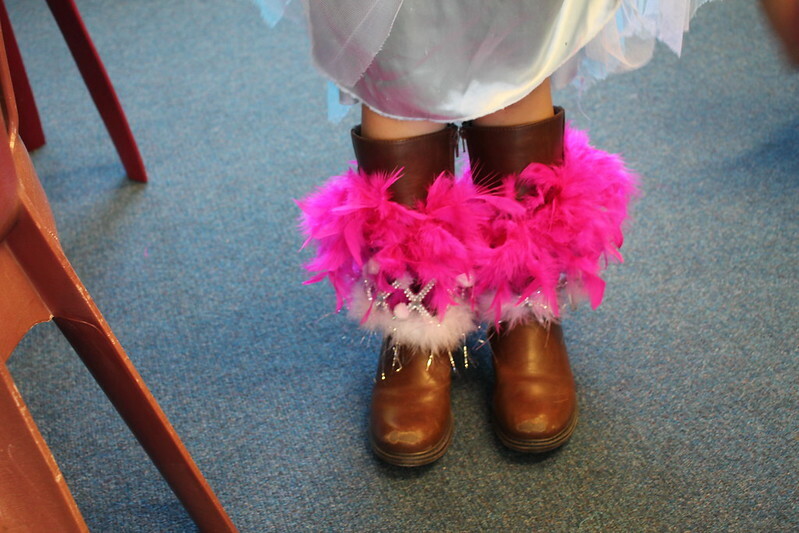 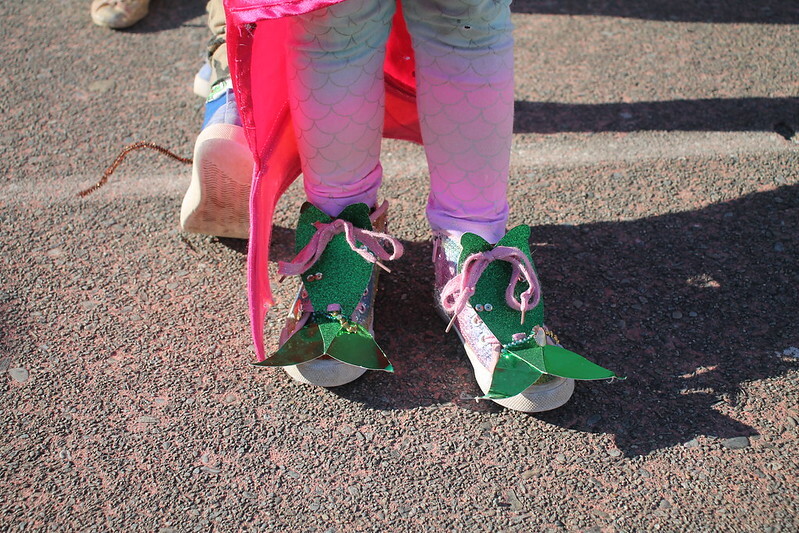 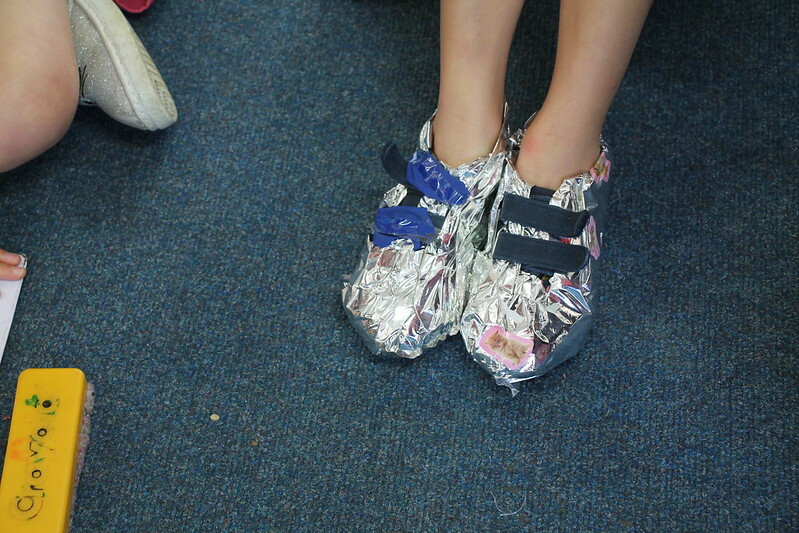 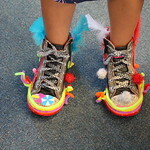 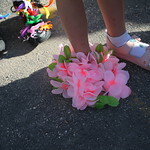 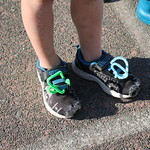 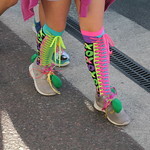 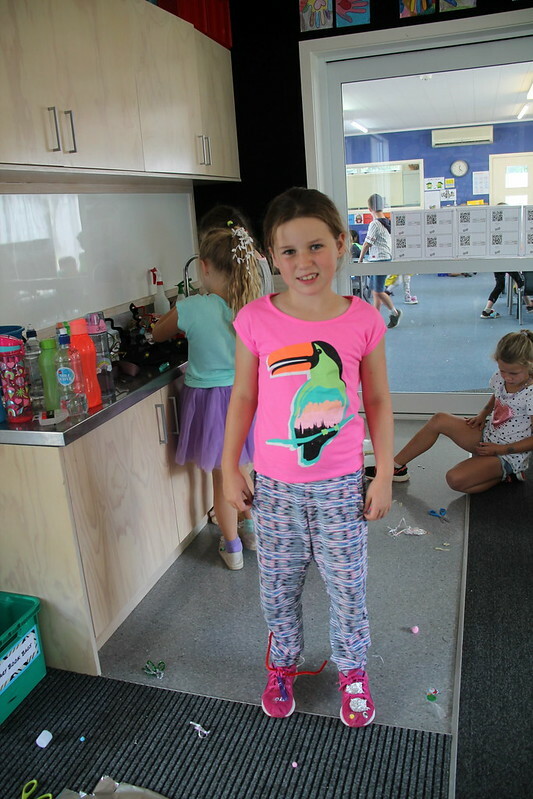 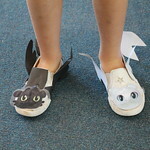 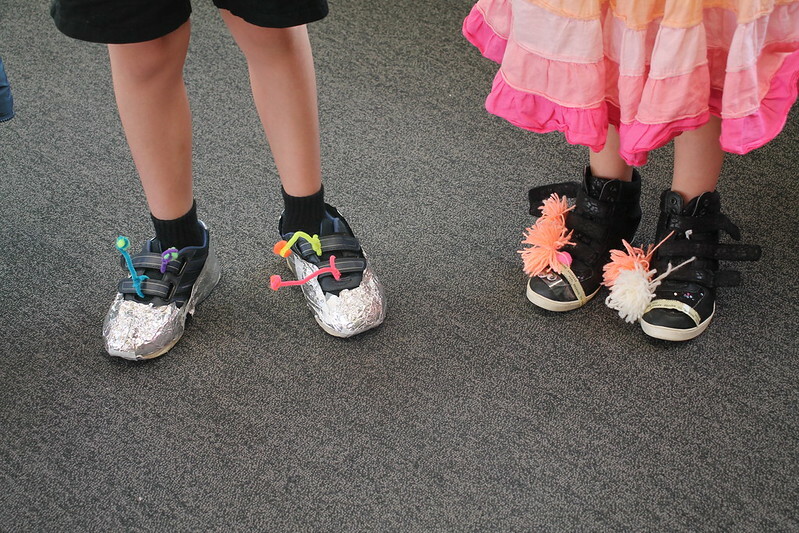 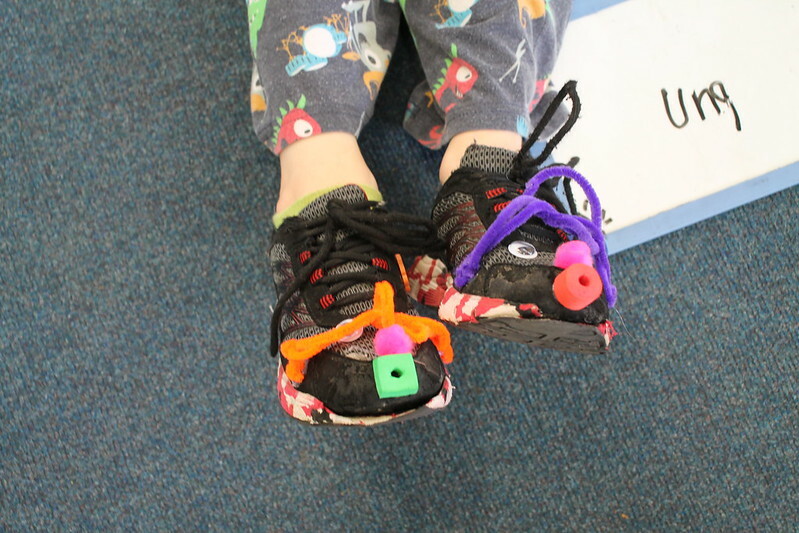 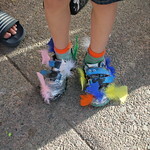 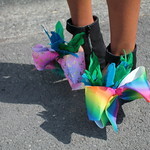 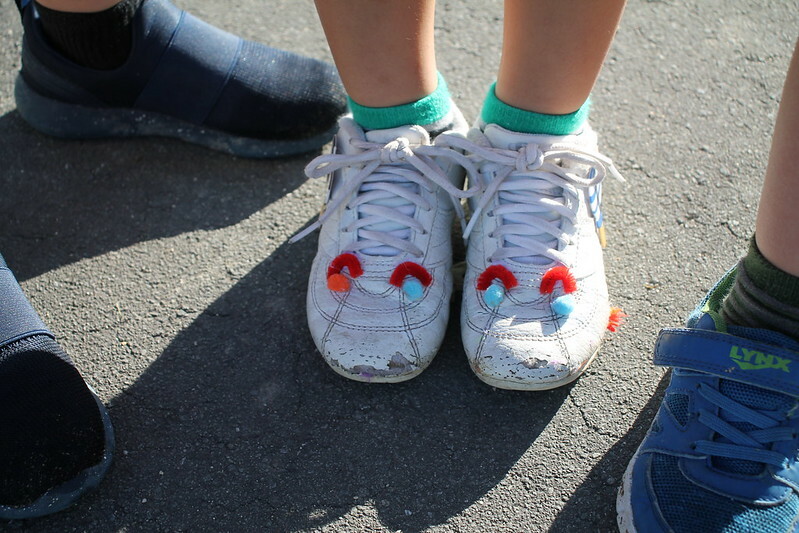 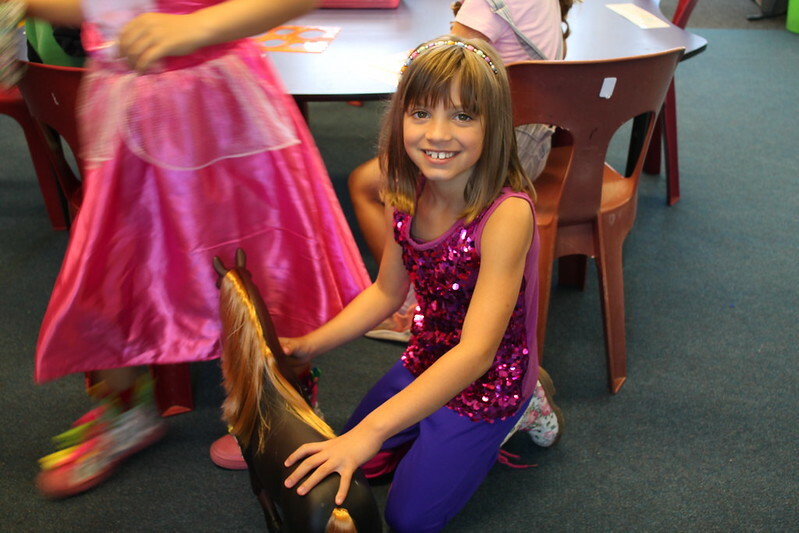 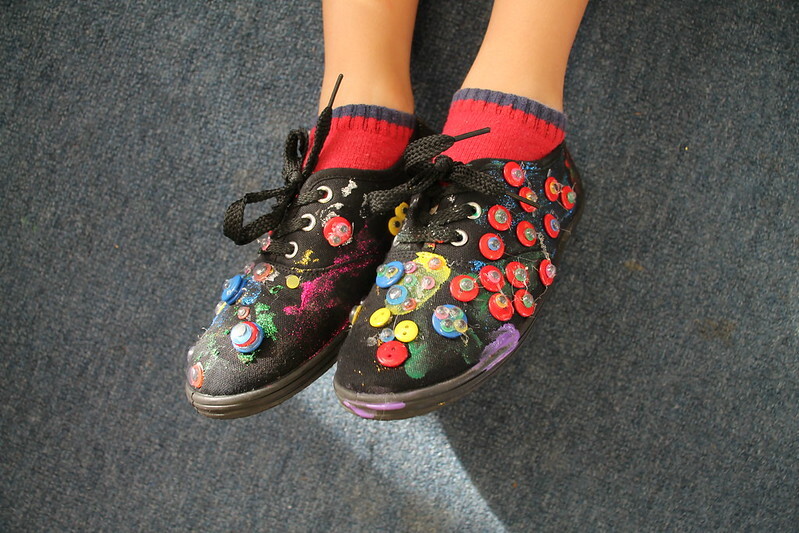 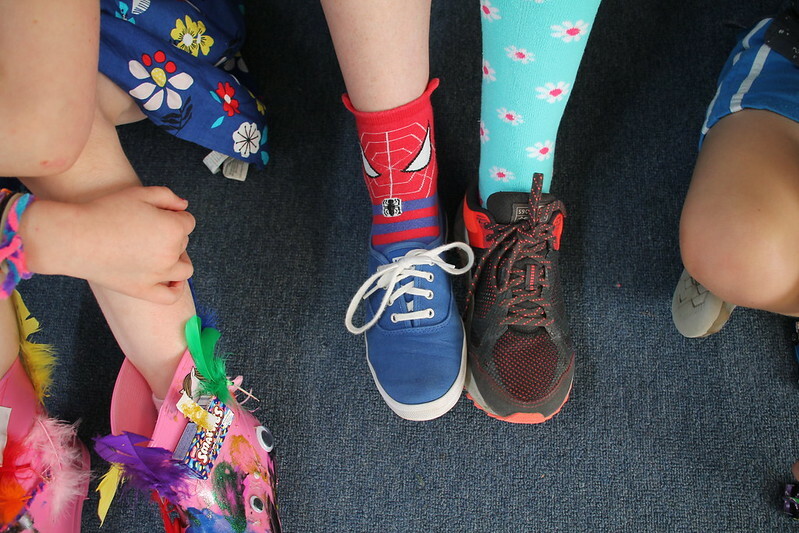 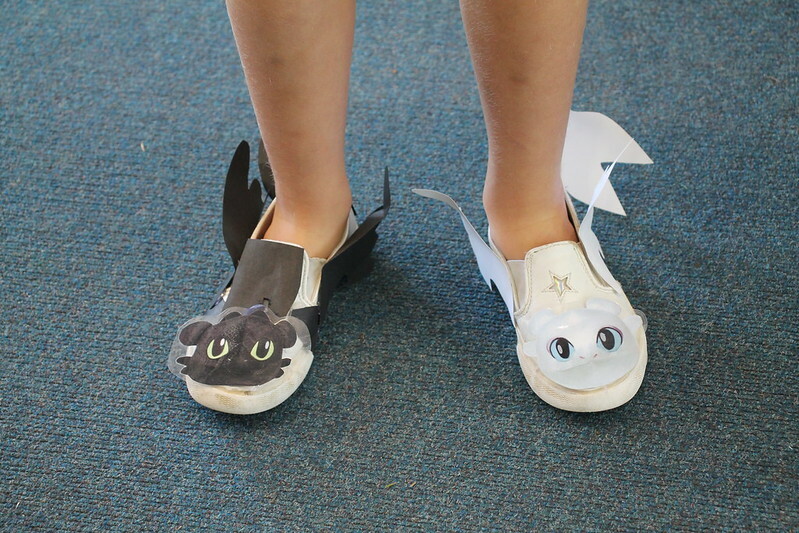 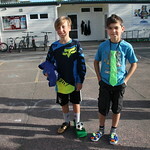 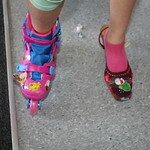 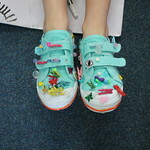 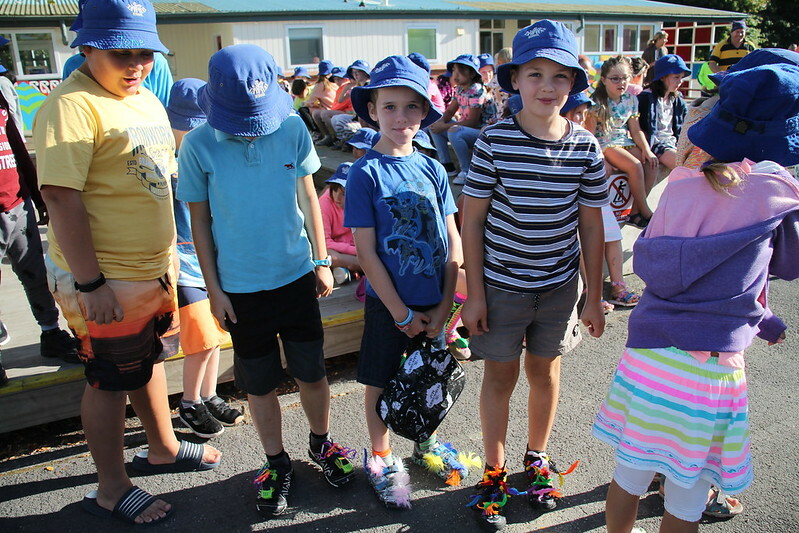 What an array of weird, wonderful and wacky shoes seen at school on Friday! 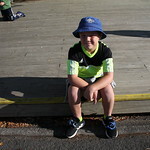 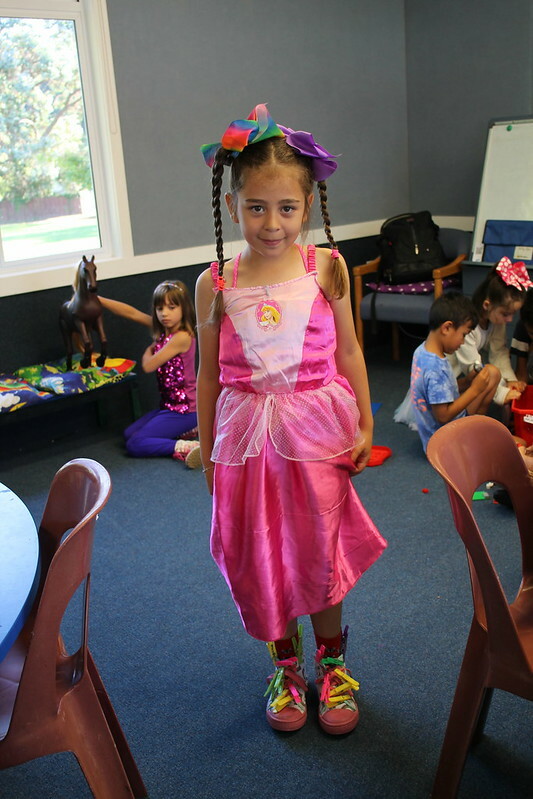 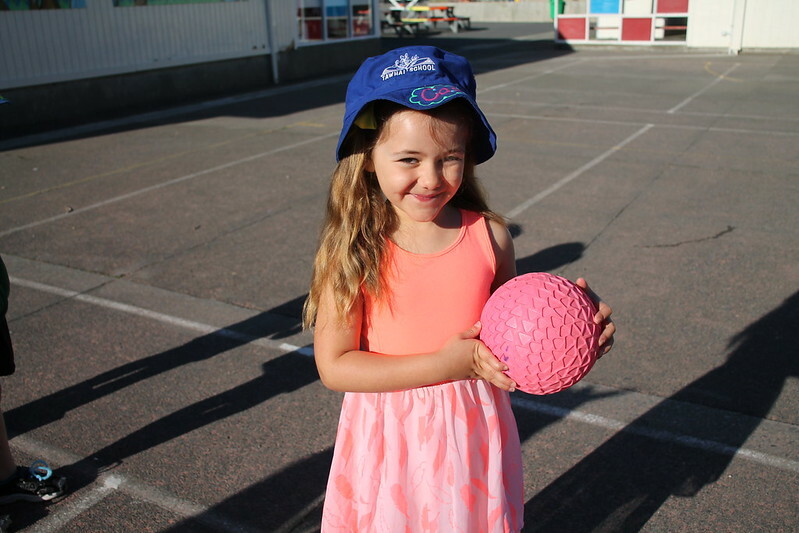 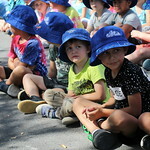 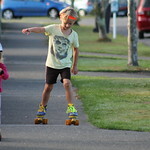 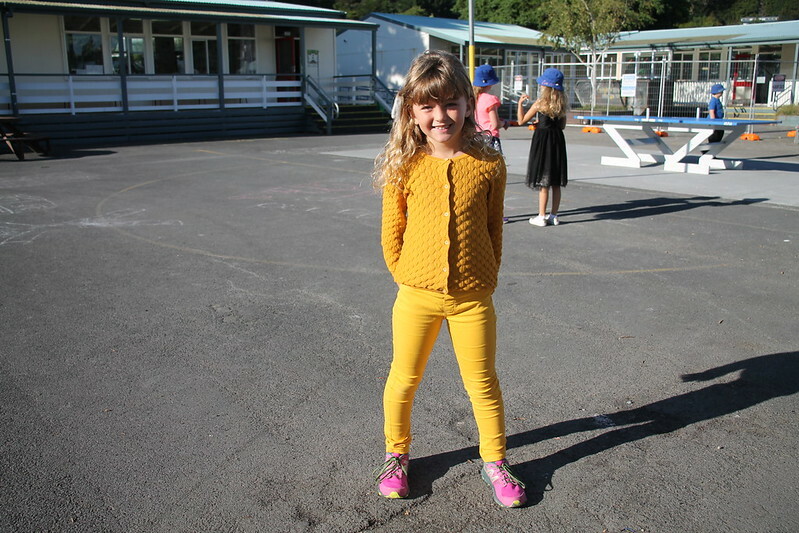 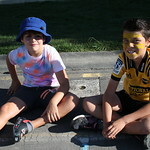 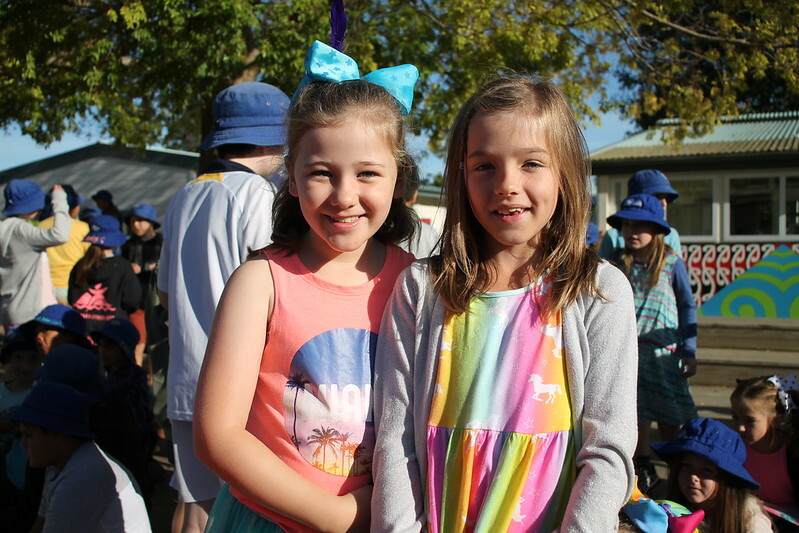 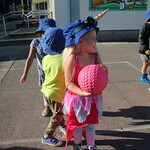 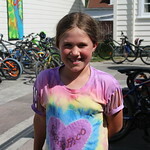 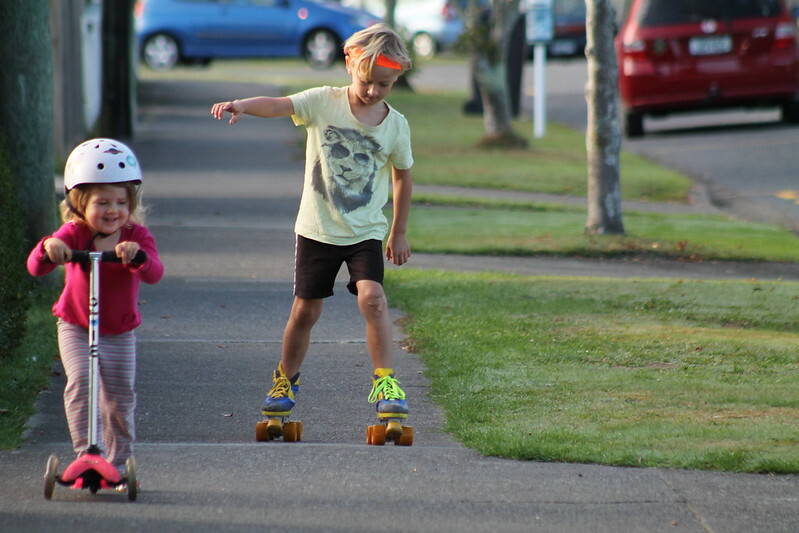 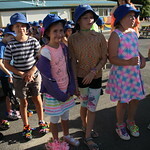 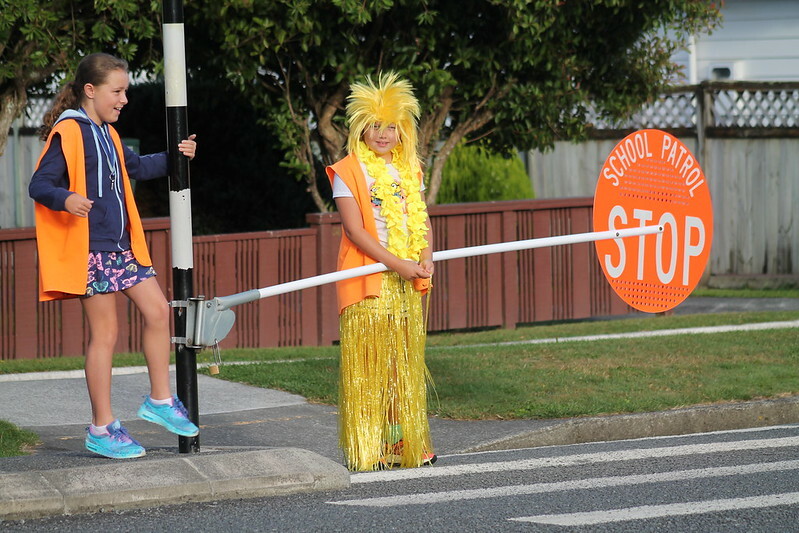 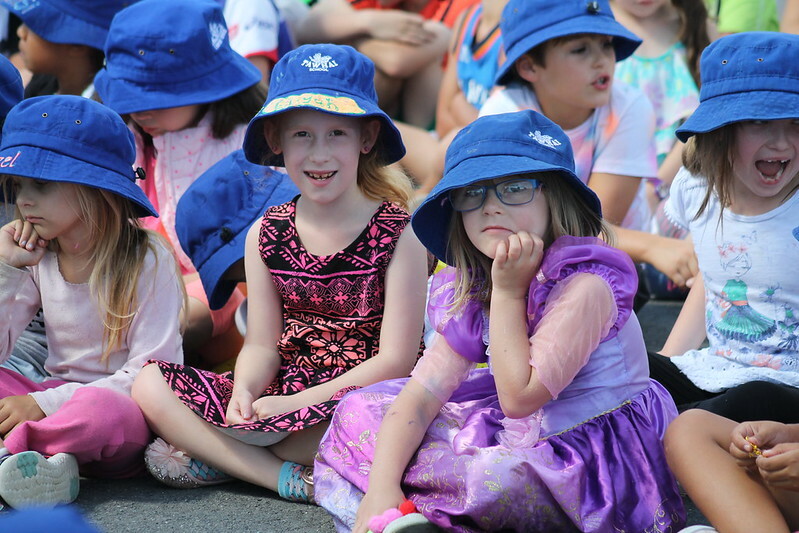 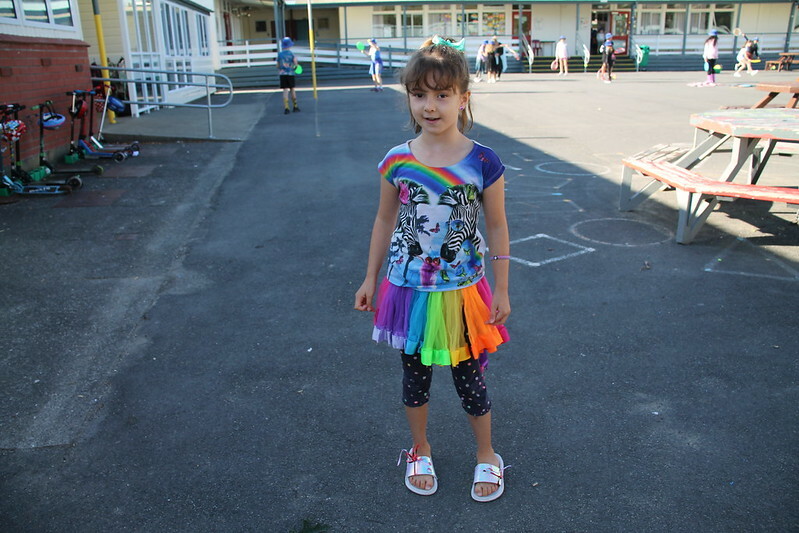 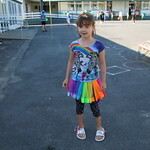 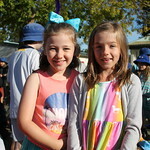 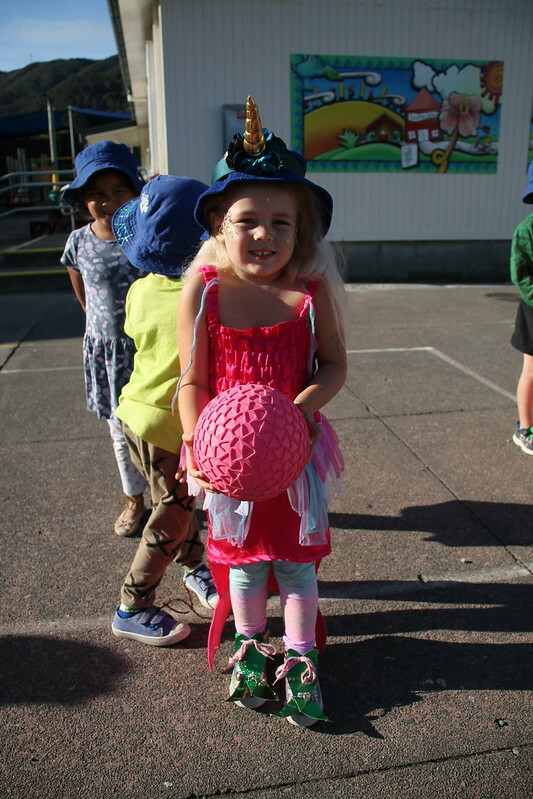 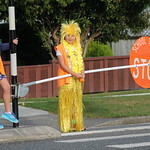 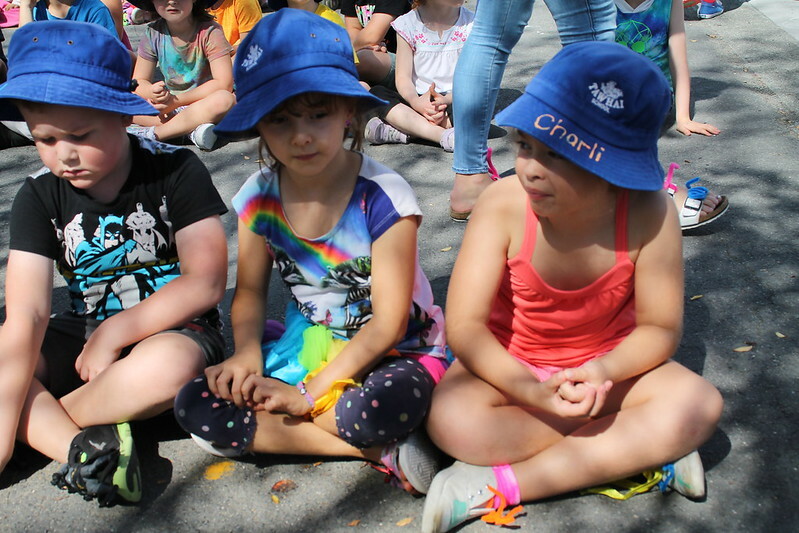 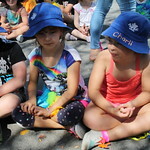 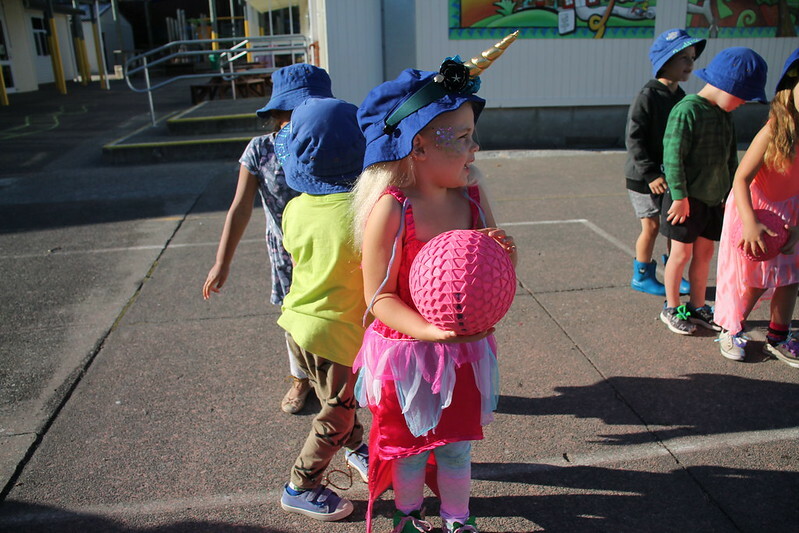 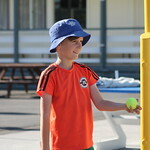 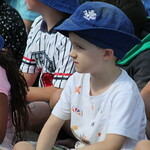 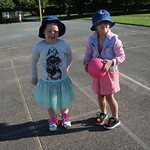 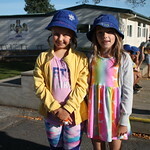 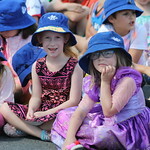 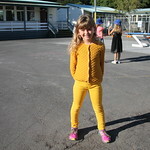 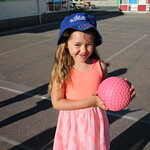 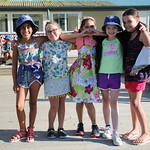 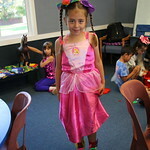 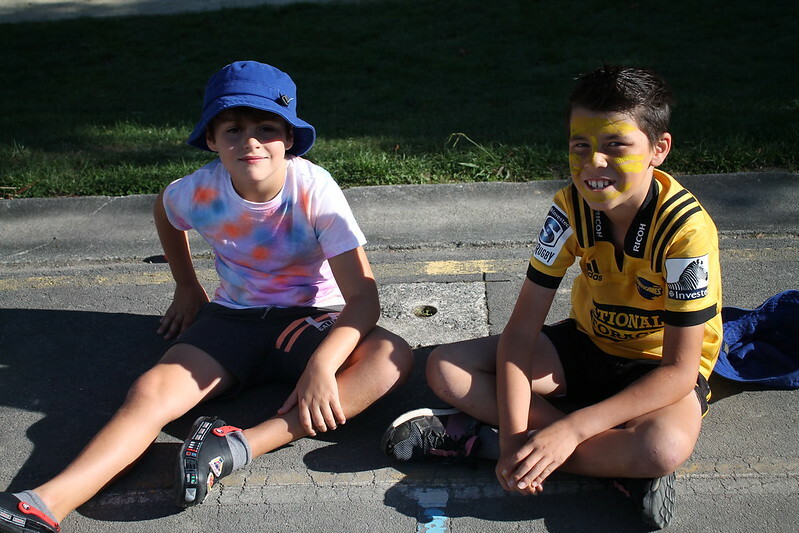 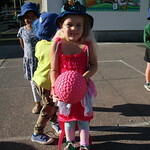 There were also lots of brightly and colourfully dressed up kids too! 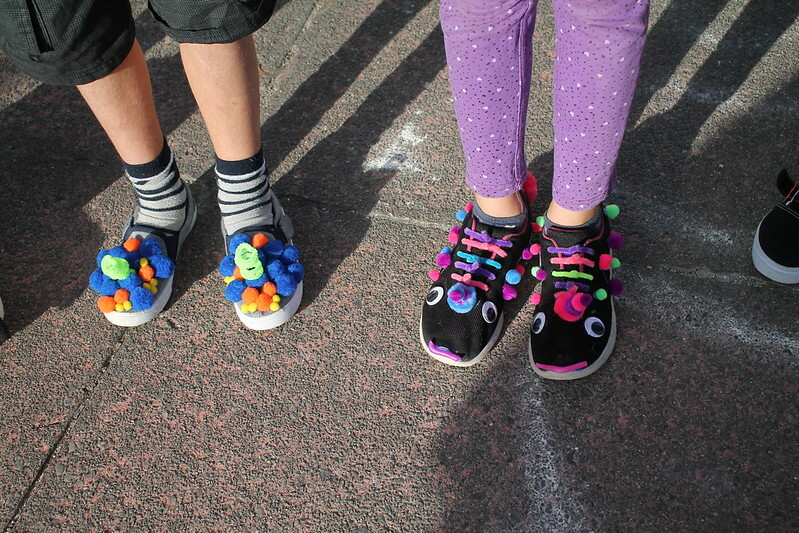 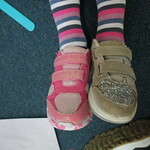 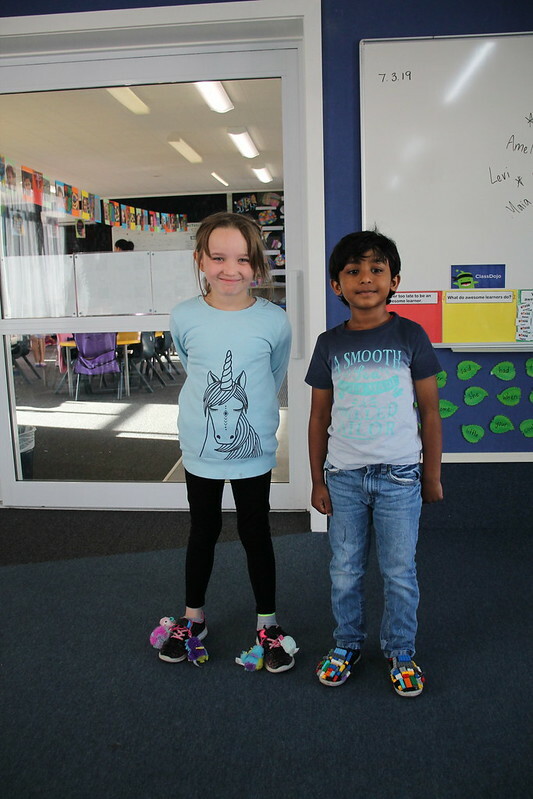 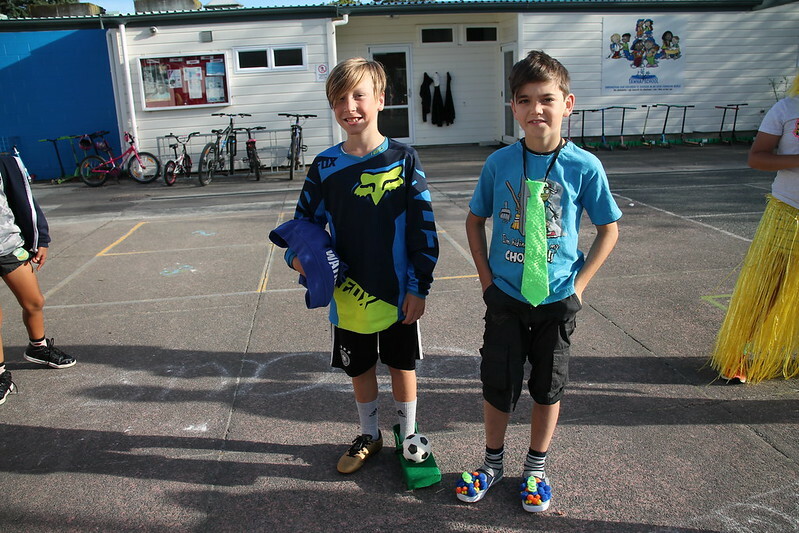 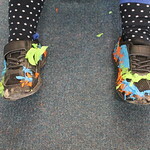 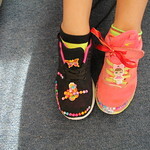 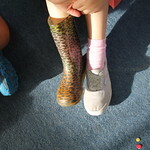 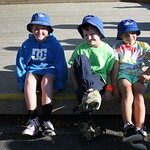 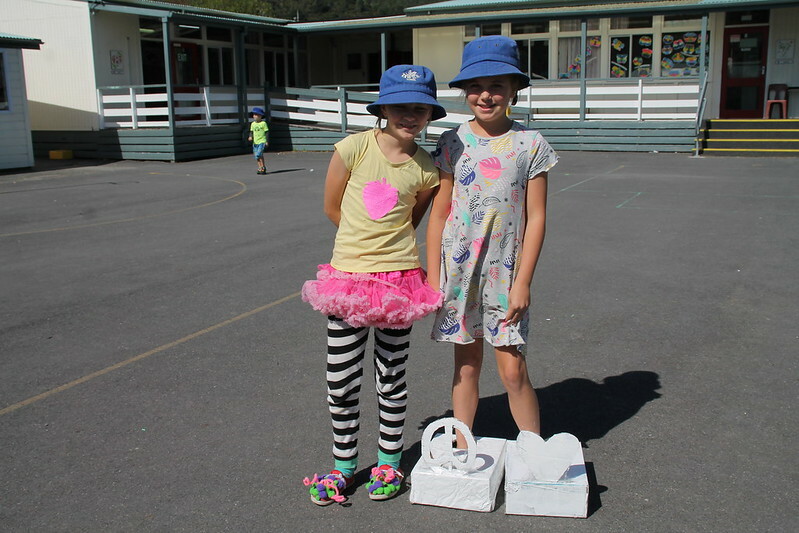 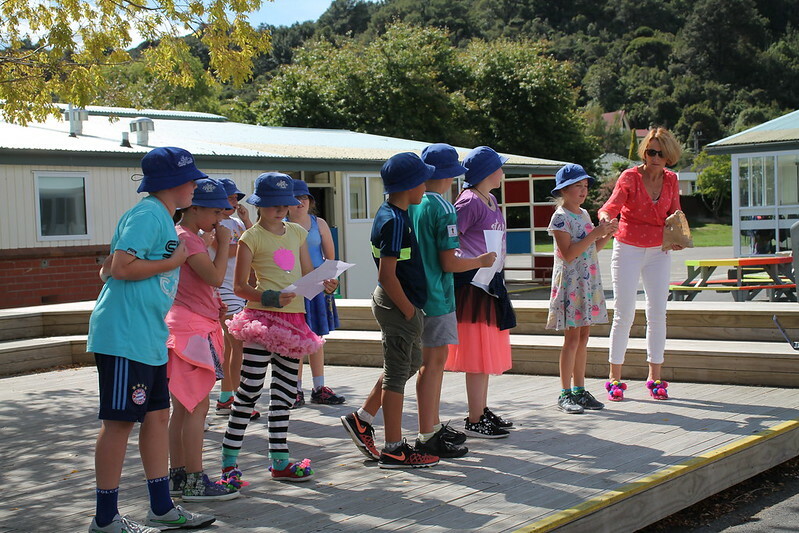 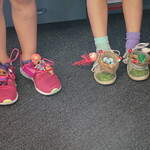 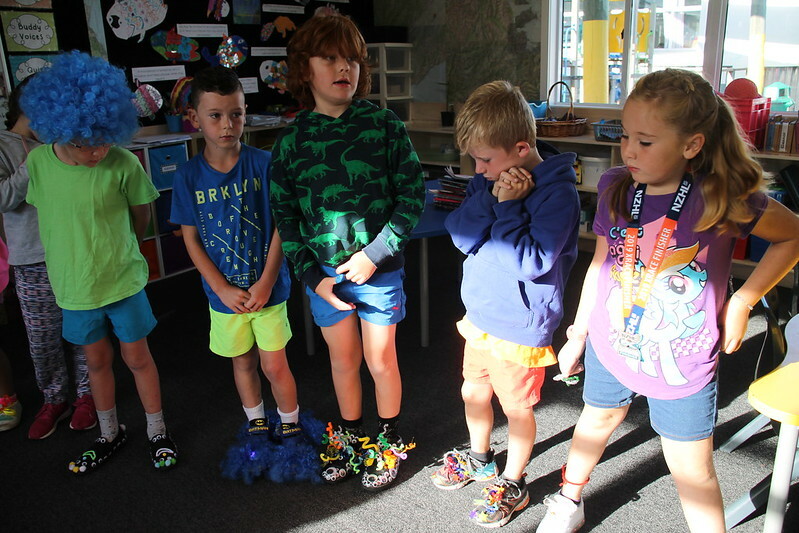 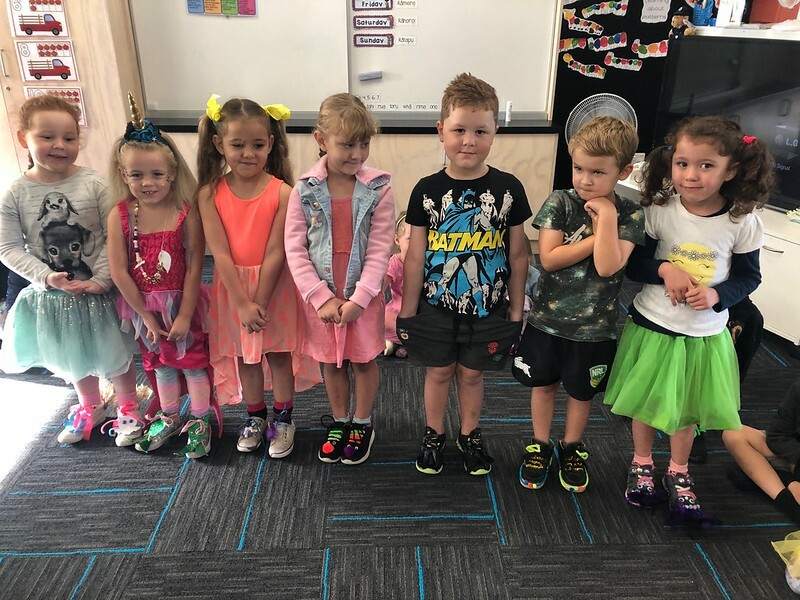 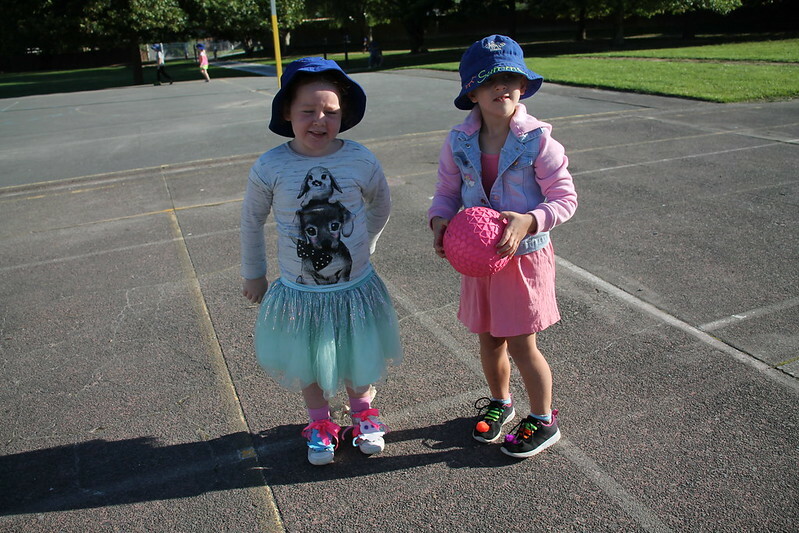 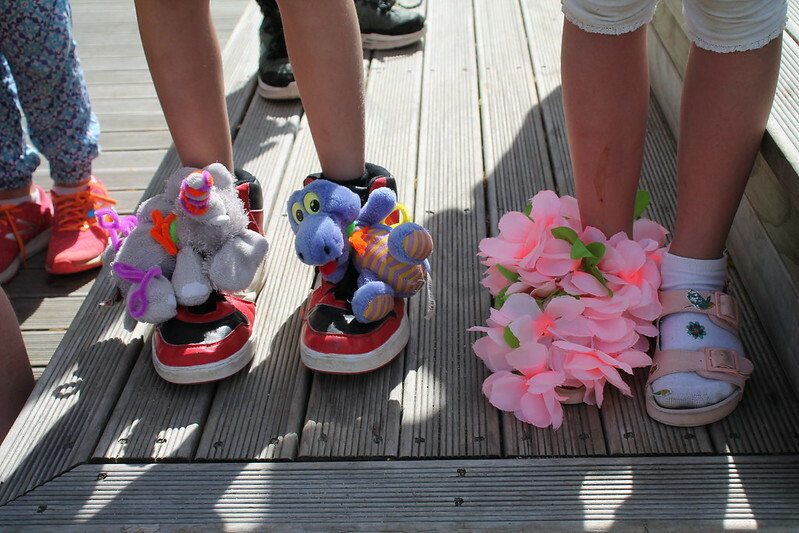 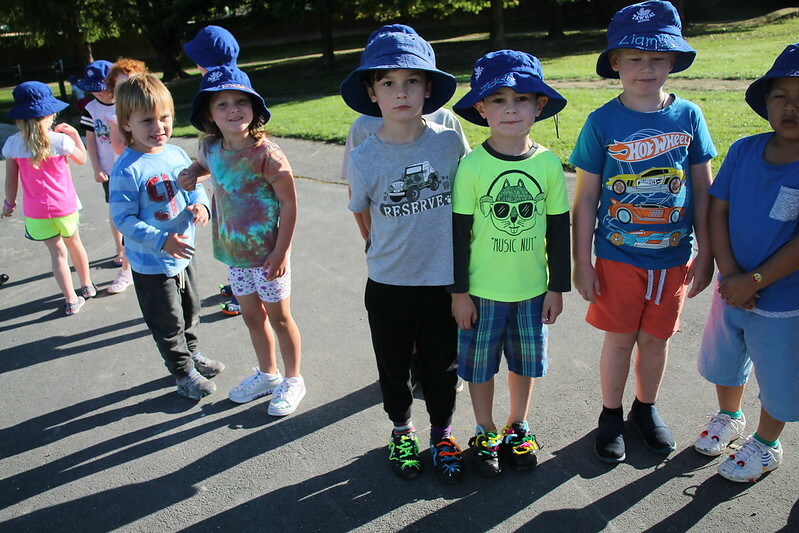 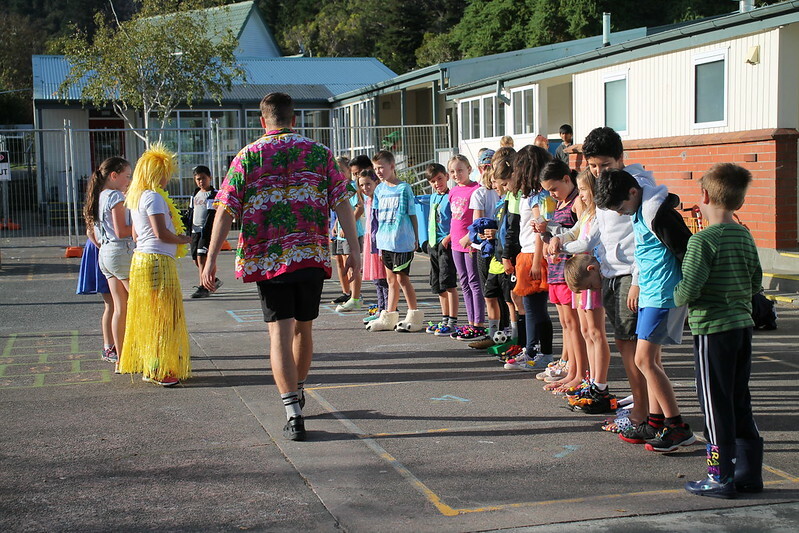 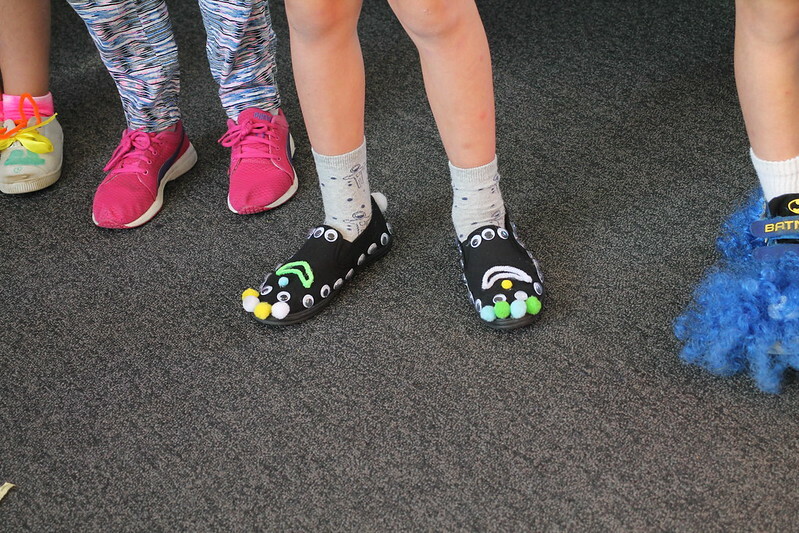 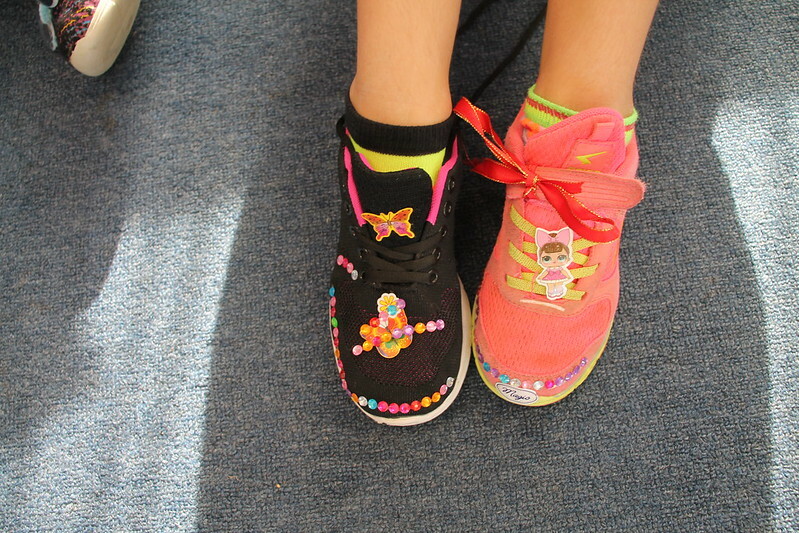 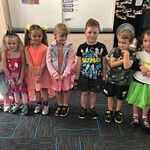 Our student council were on hand to judge the two best wacky shoes from each classroom. 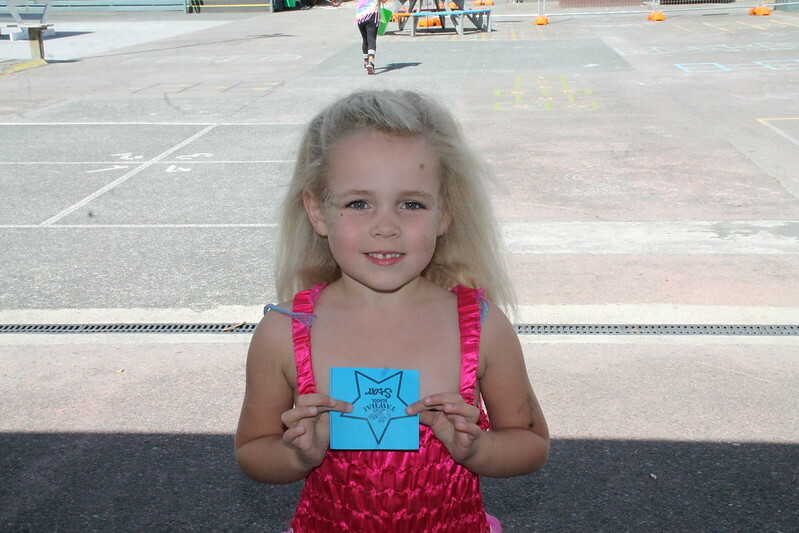 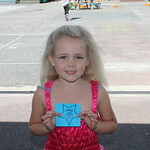 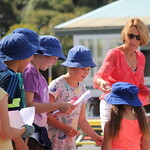 The winners were given a prize from Mrs Poole at assembly in the afternoon. 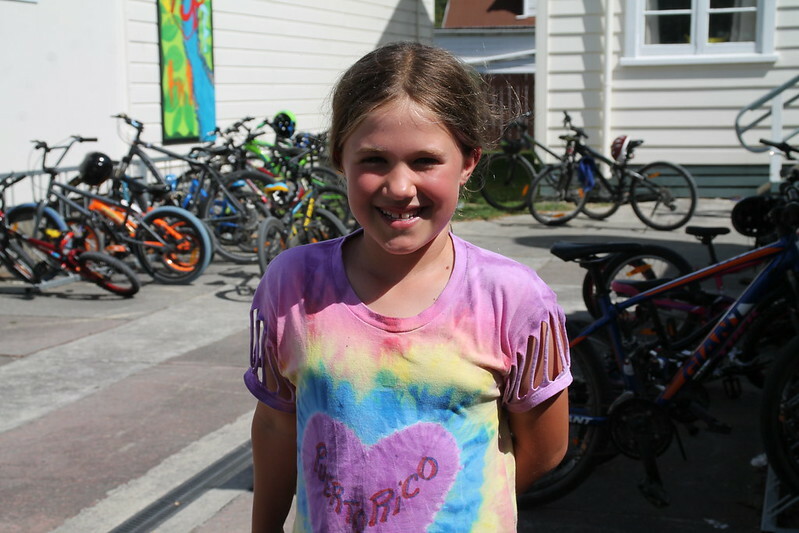 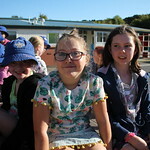 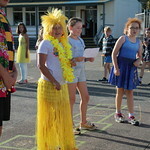 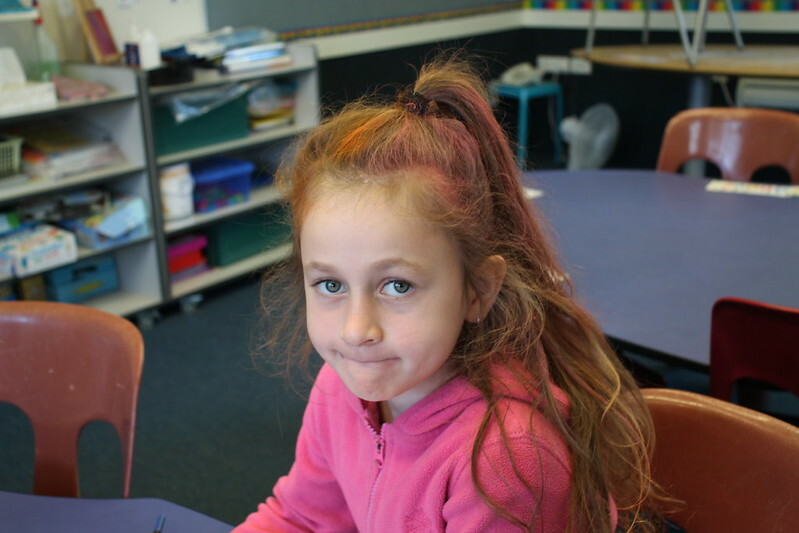 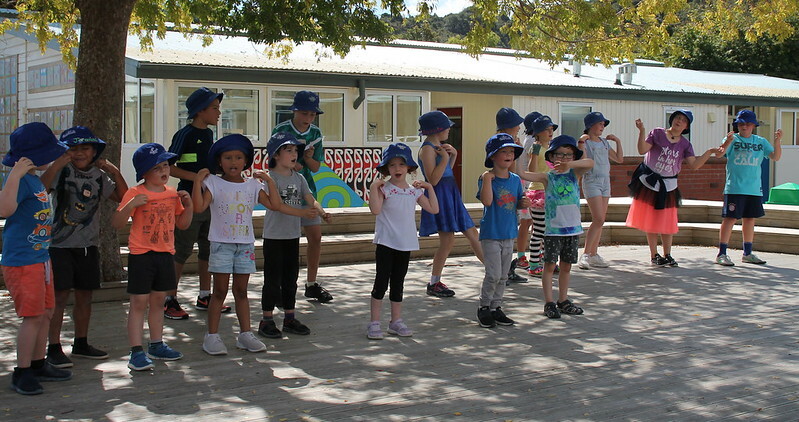 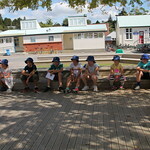 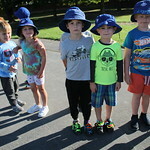 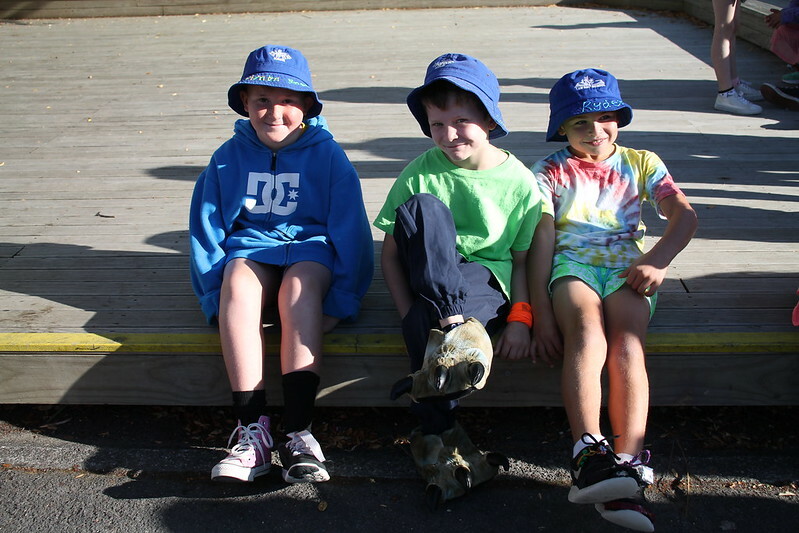 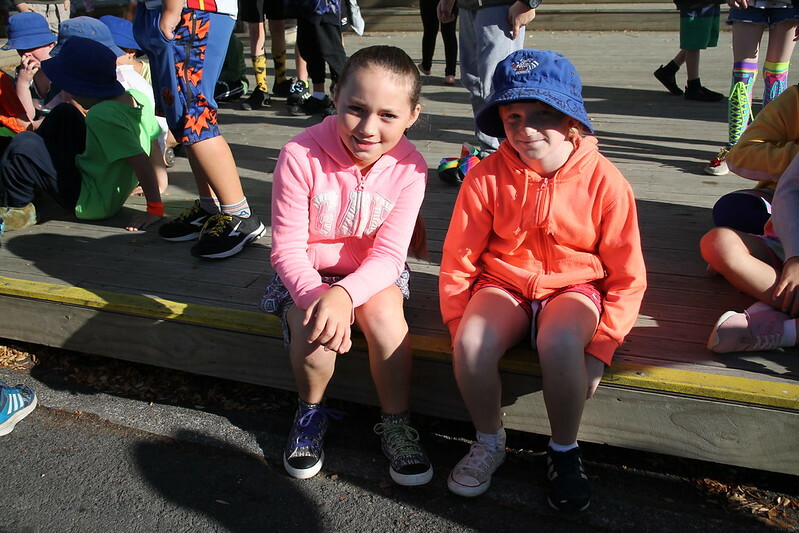 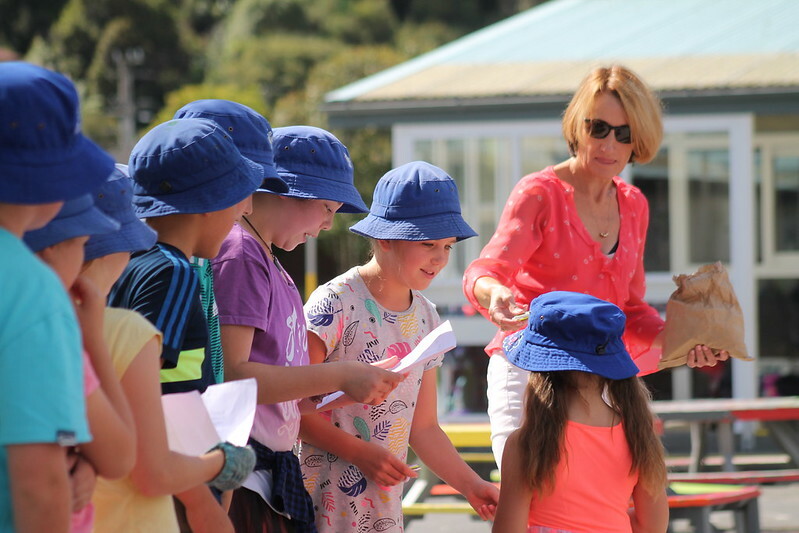 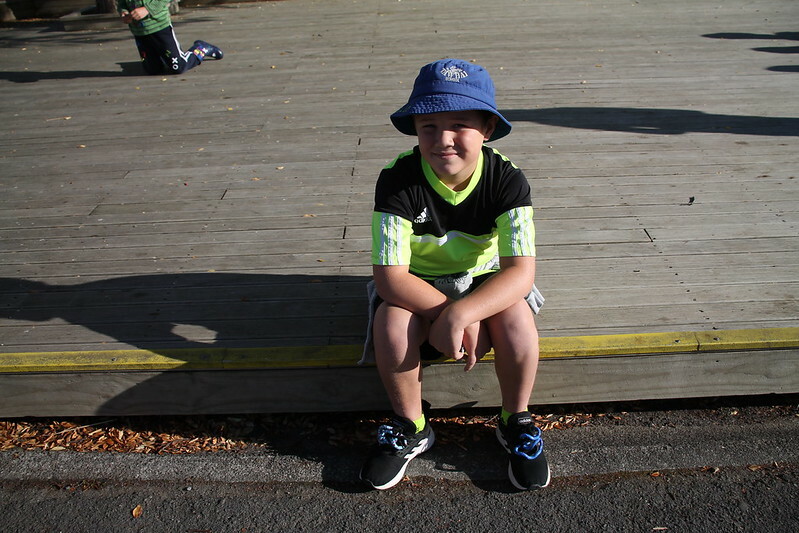 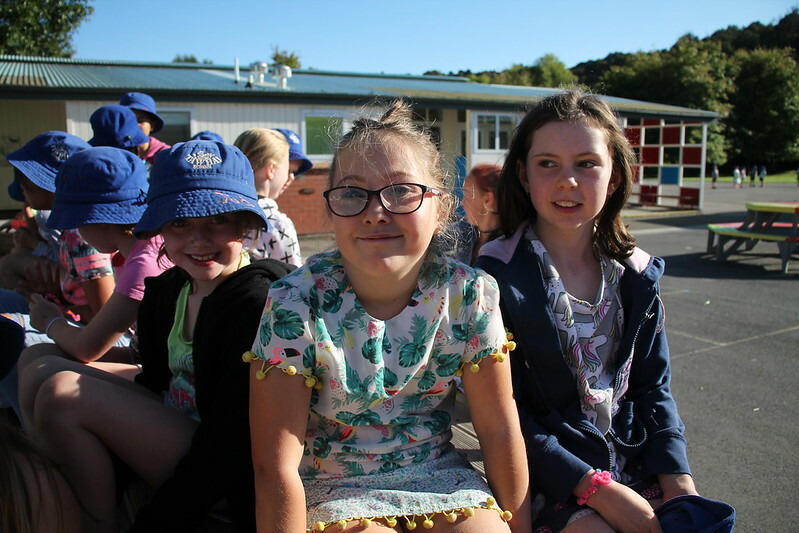 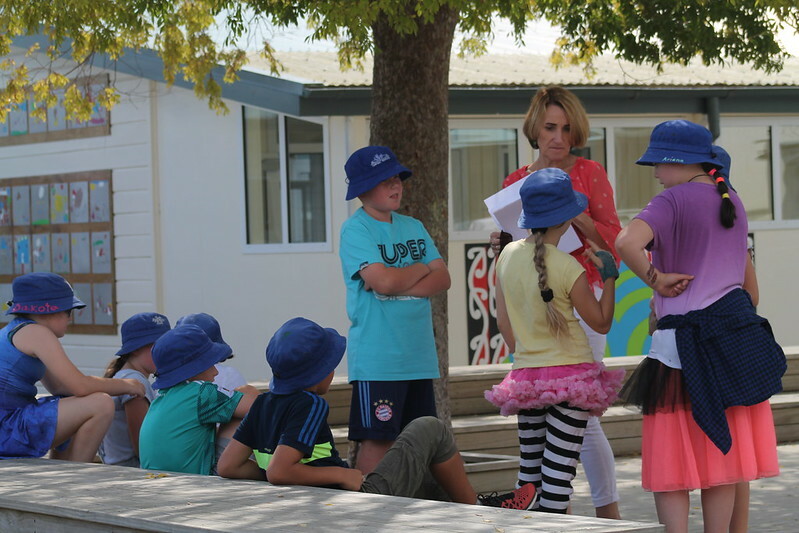 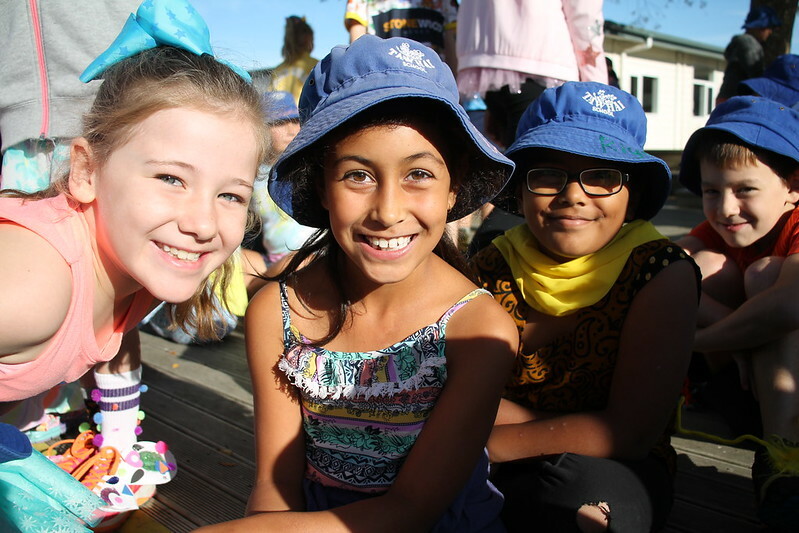 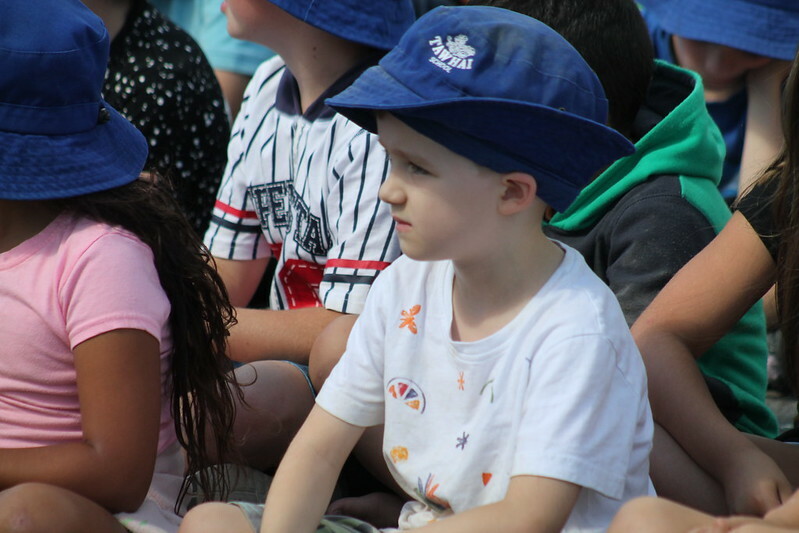 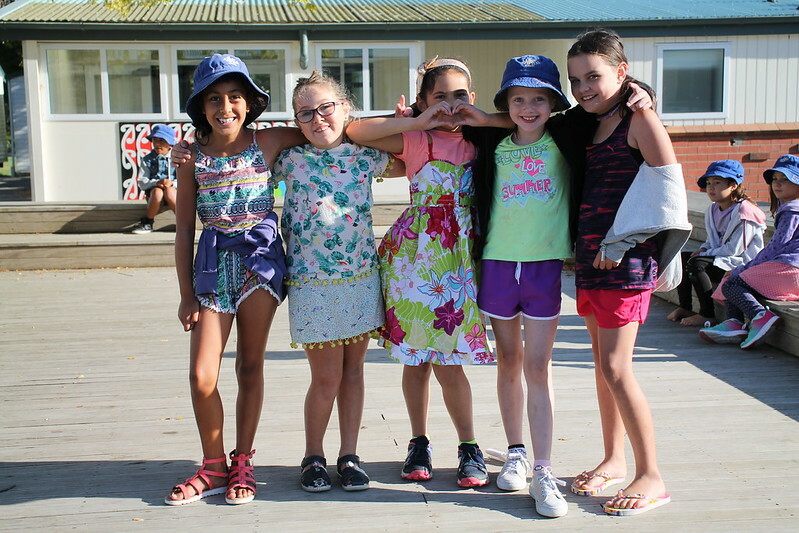 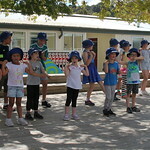 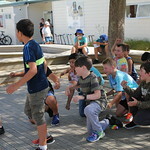 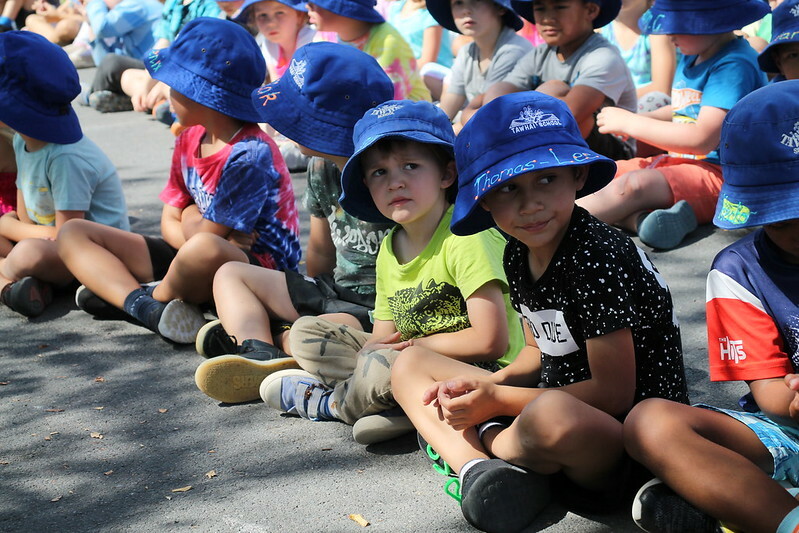 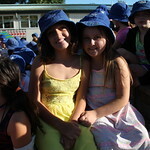 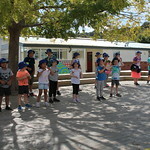 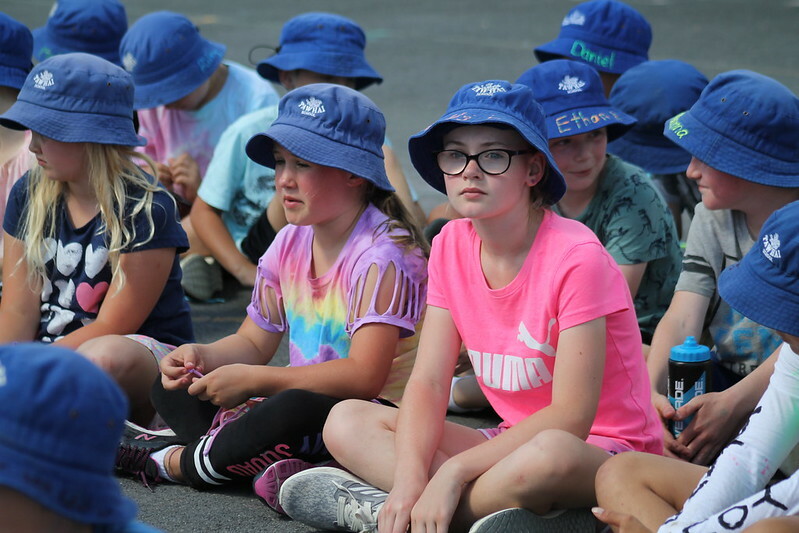 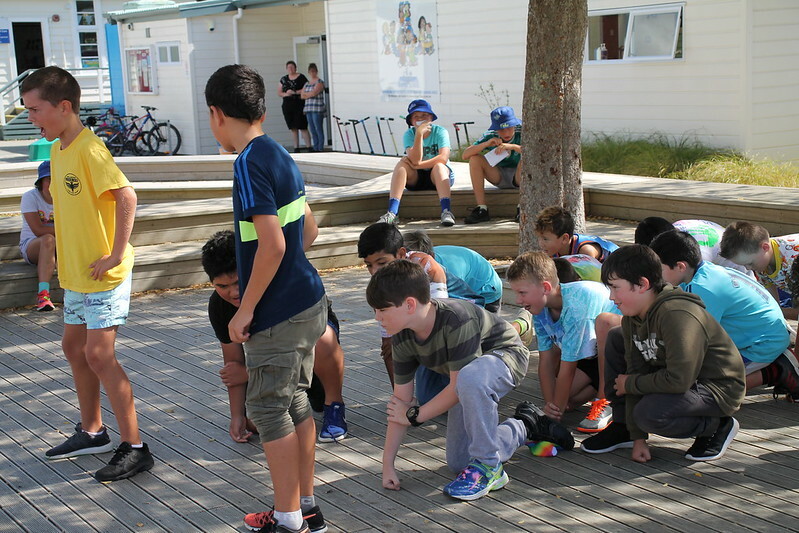 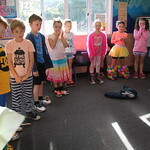 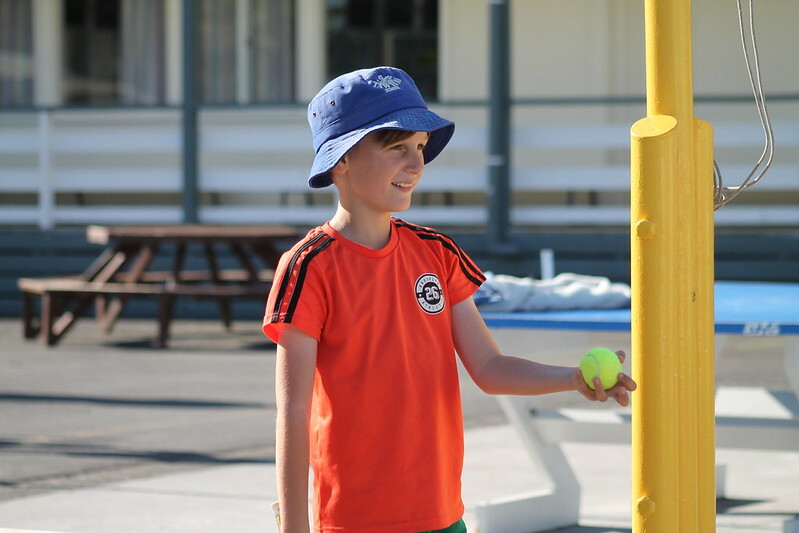 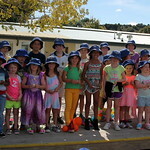 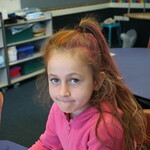 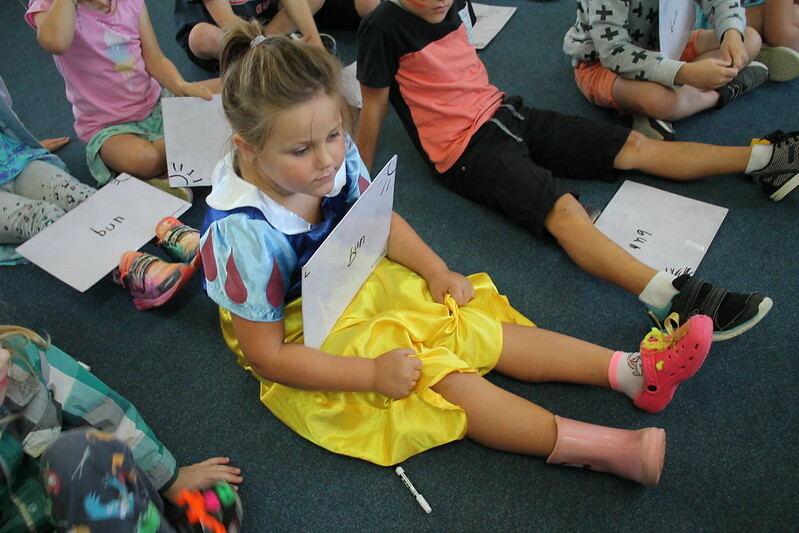 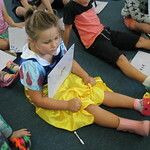 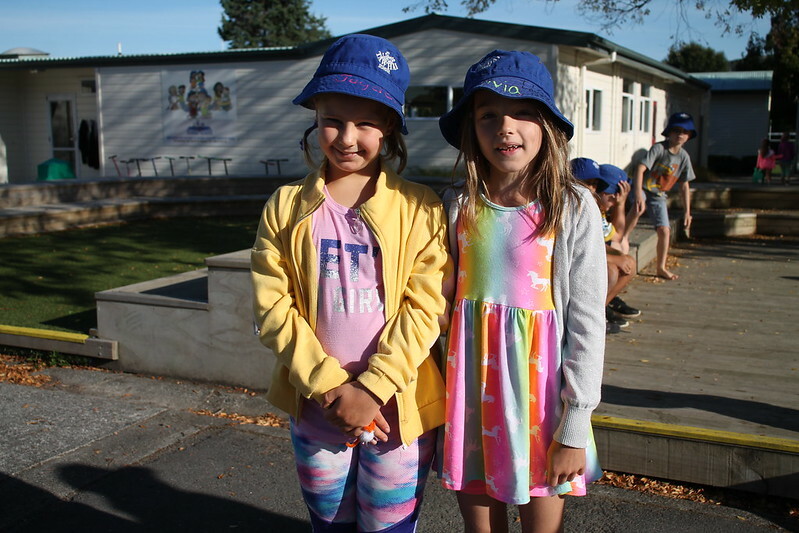 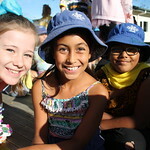 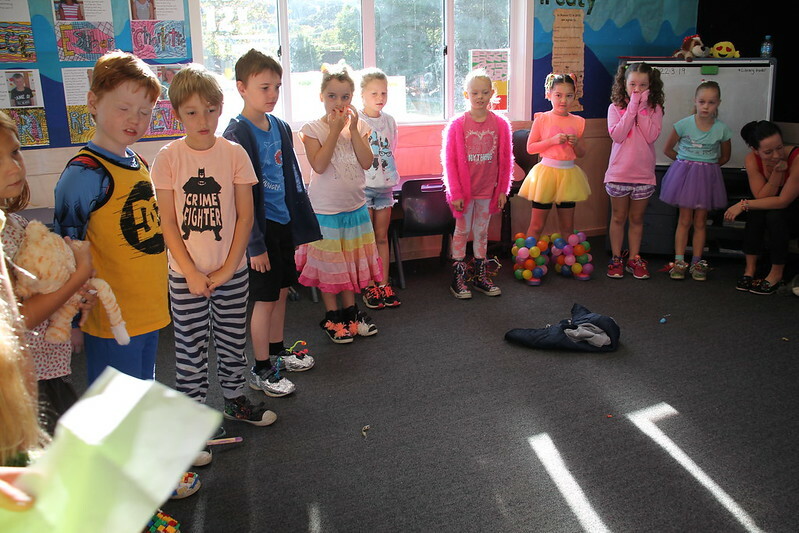 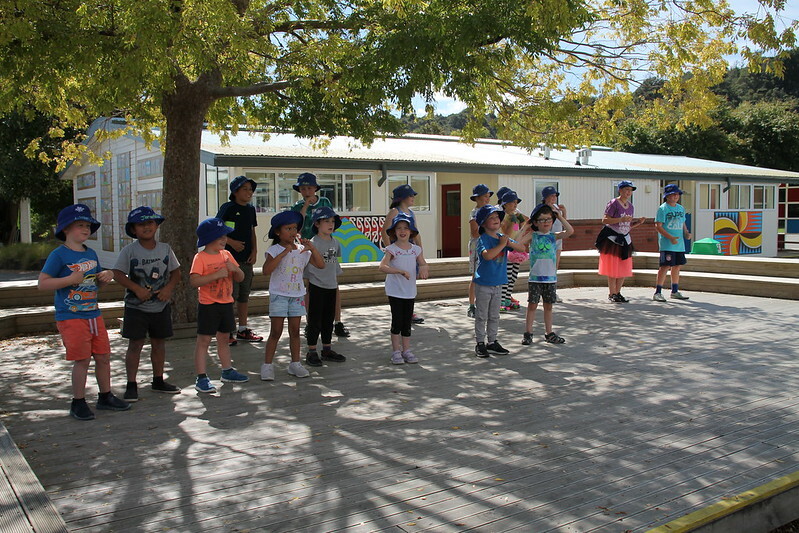 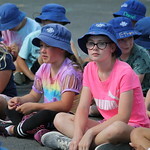 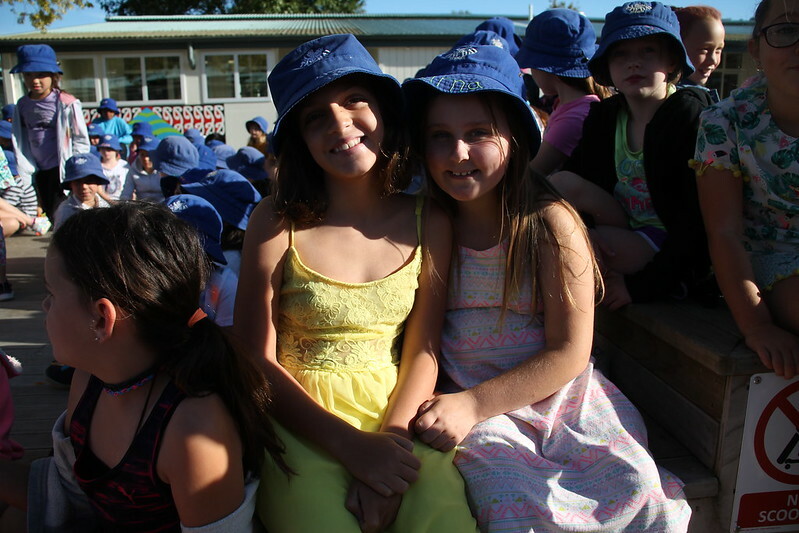 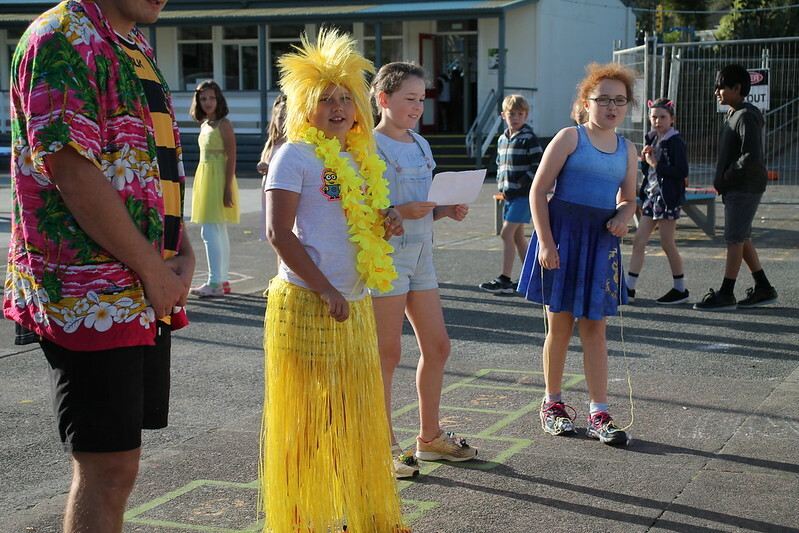 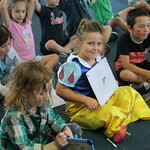 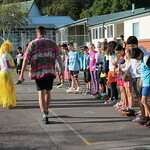 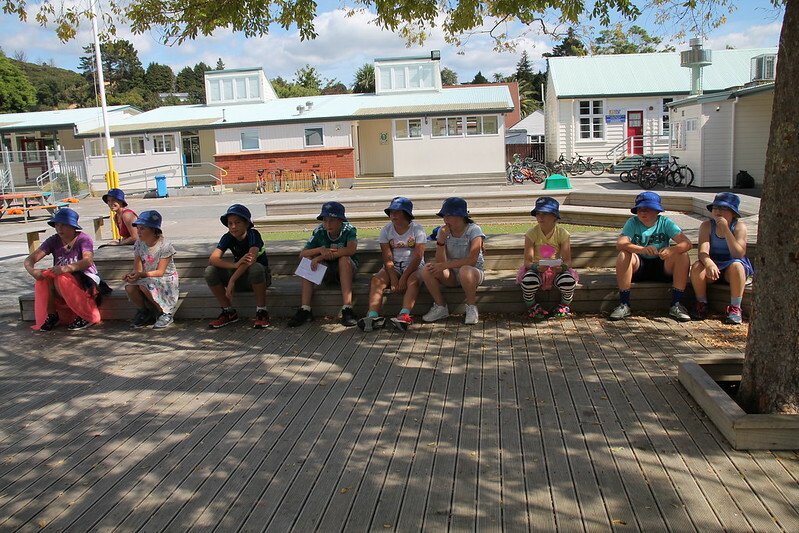 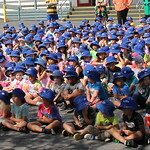 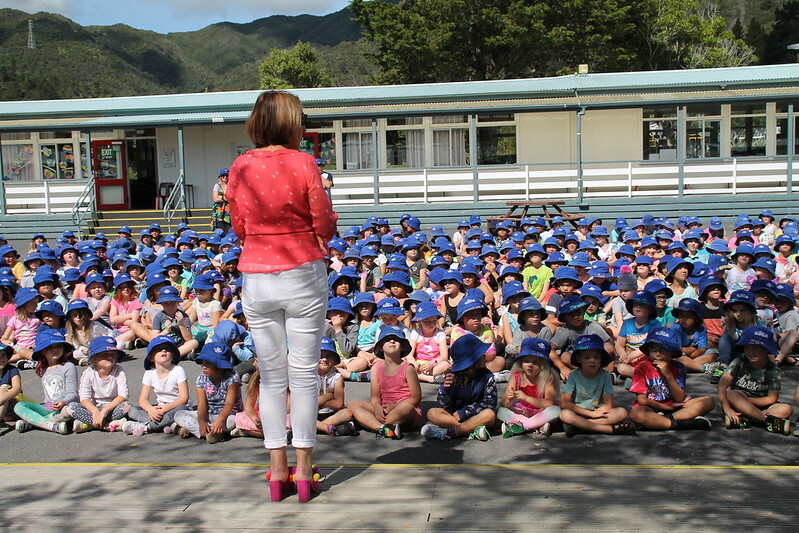 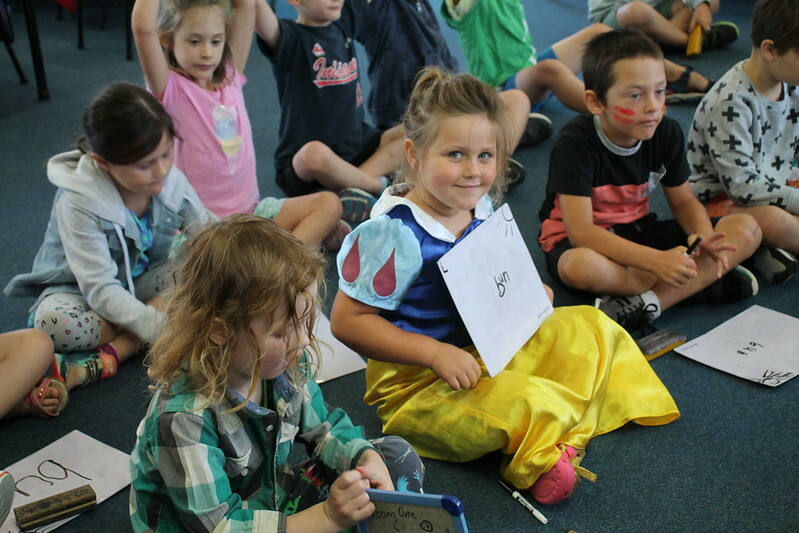 We sang to 2 very special songs, Individuality and Ma te mahi ka ora. 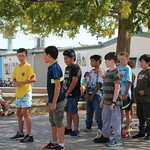 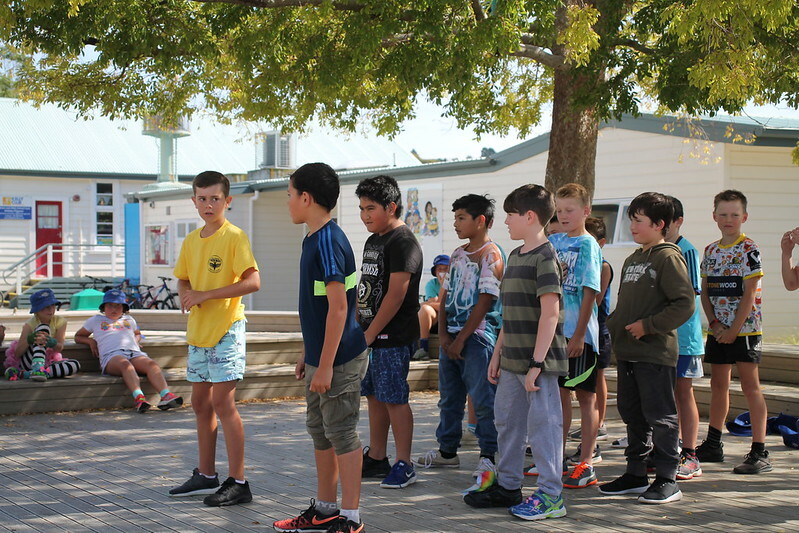 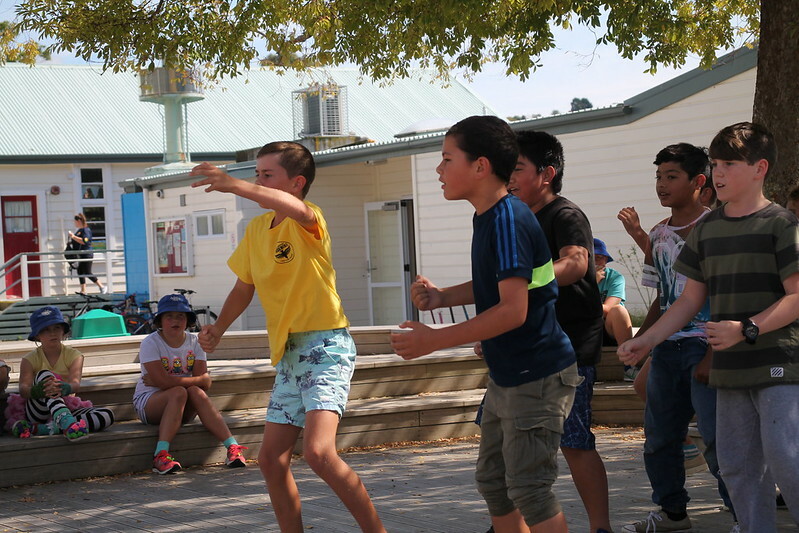 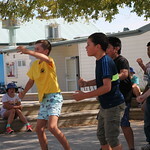 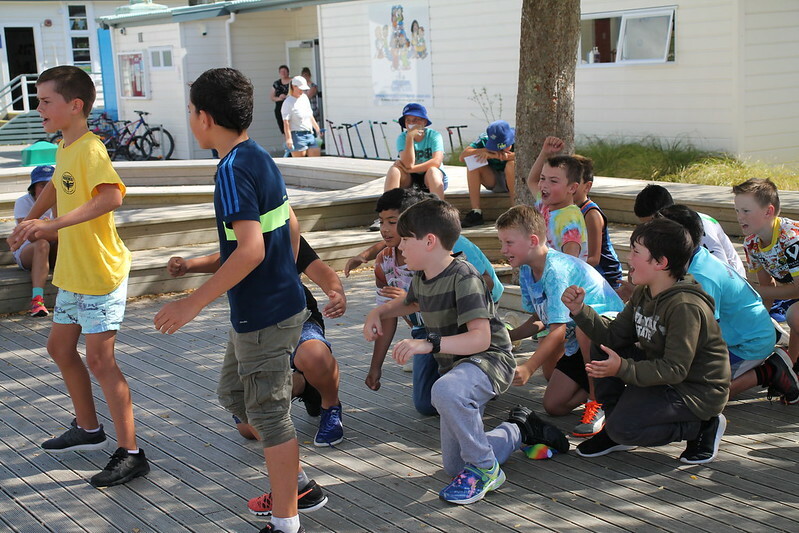 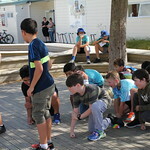 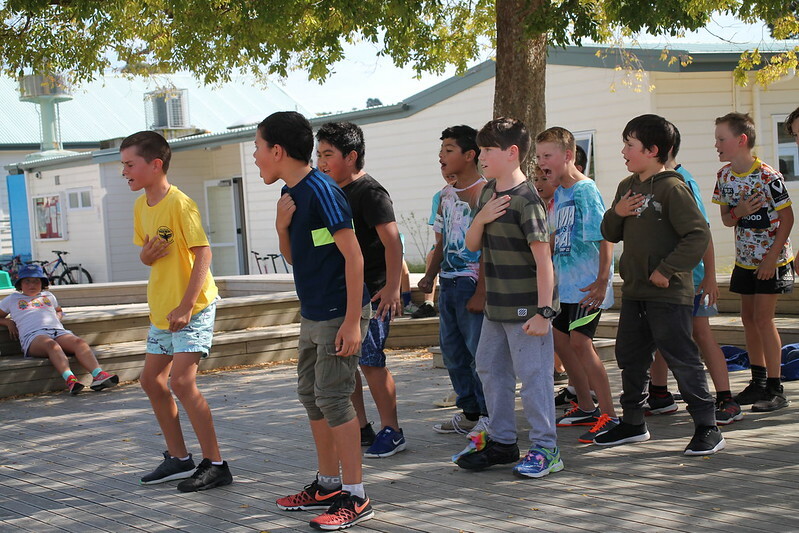 We also had also had a very stirring haka from our Nga Tama Toa Boys to conclude the assembly.